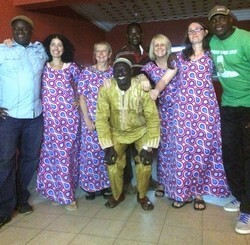 At 5am on 10th December, the Gambia team met at Manchester Airport, ready to embark upon a new adventure. 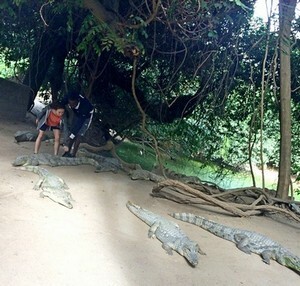 Unsure of what to expect, the general feeling was a mixture of excitement and trepidation. 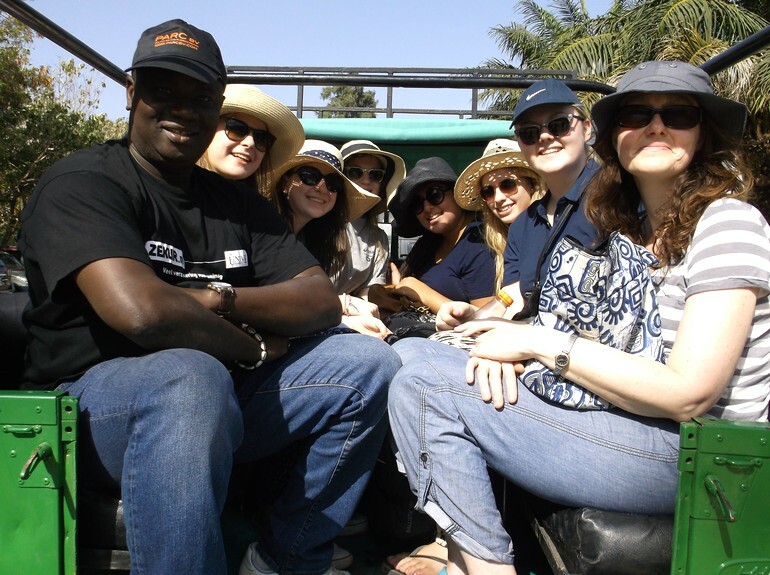 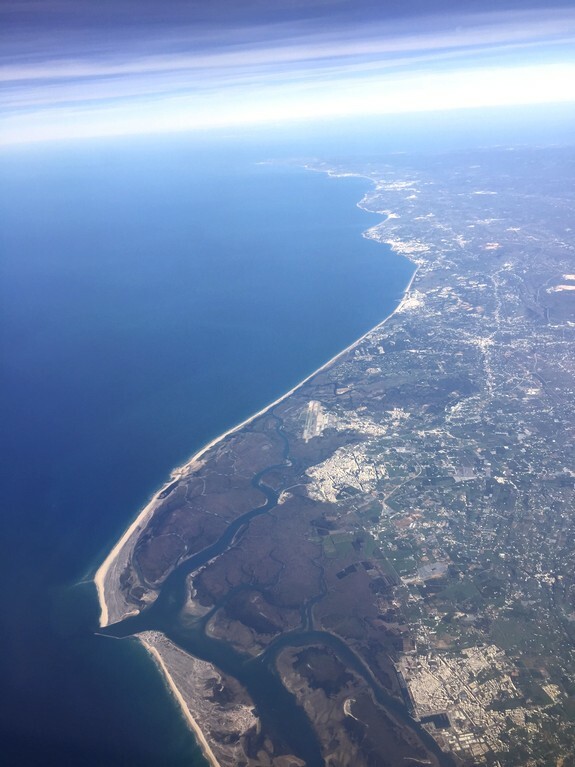 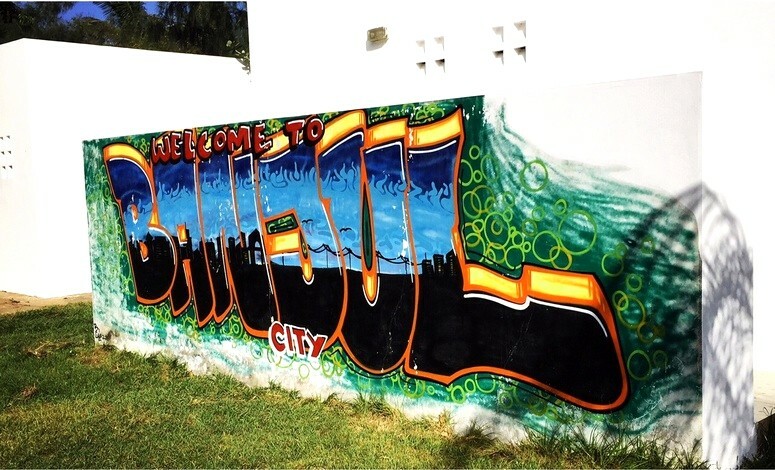 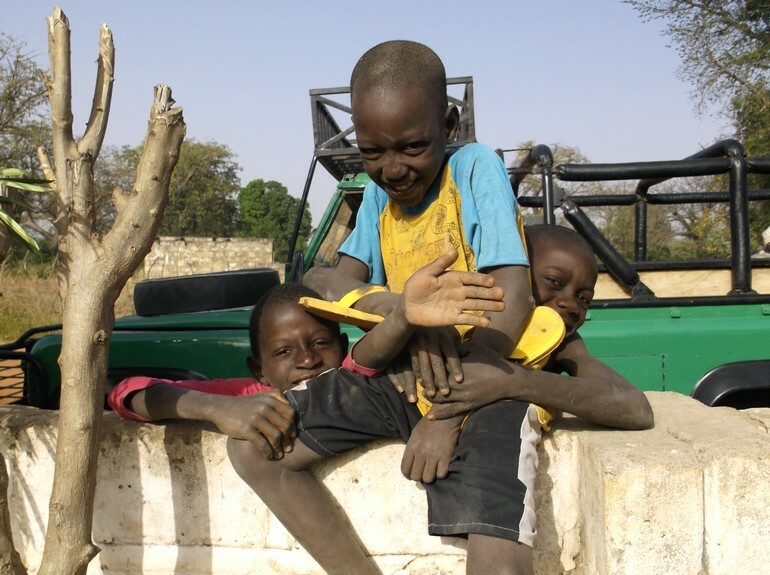 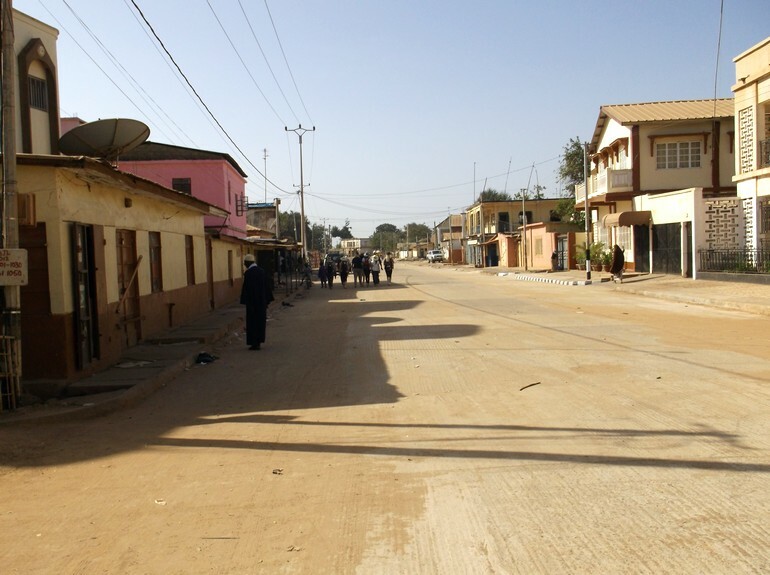 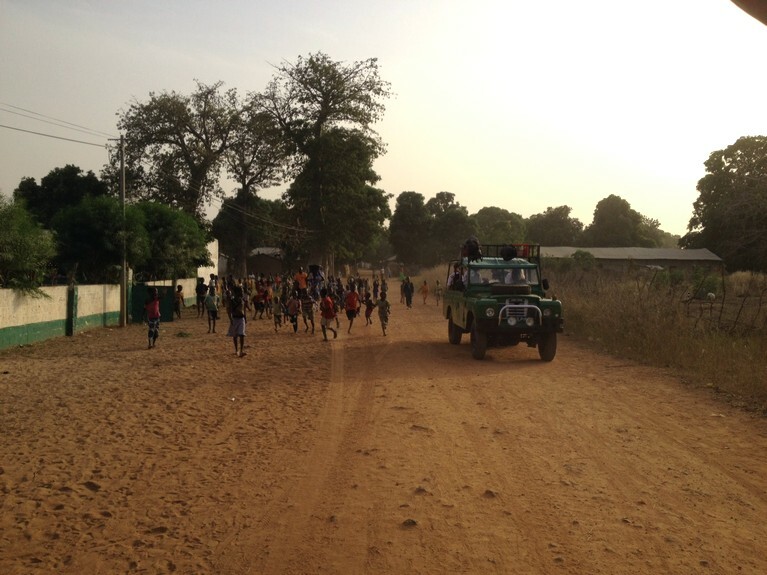 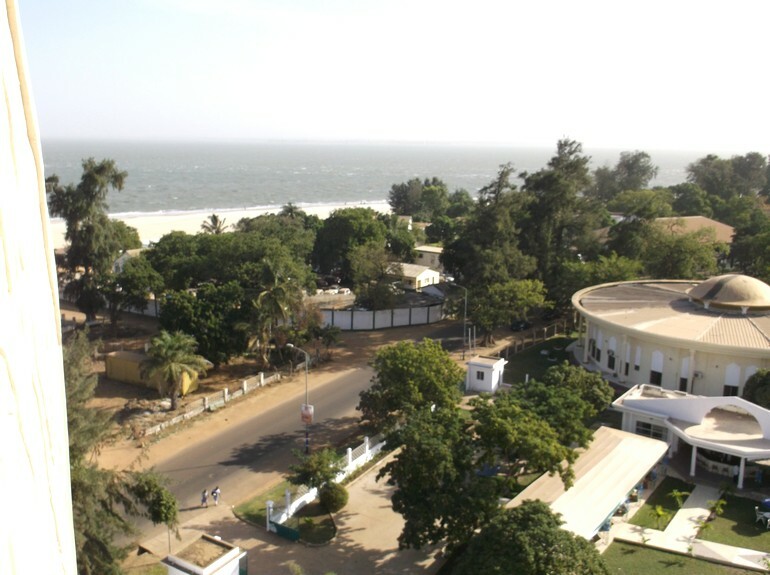 When we stepped out of the airport in Banjul, the buzz of the country and the affability of the people were palpable. 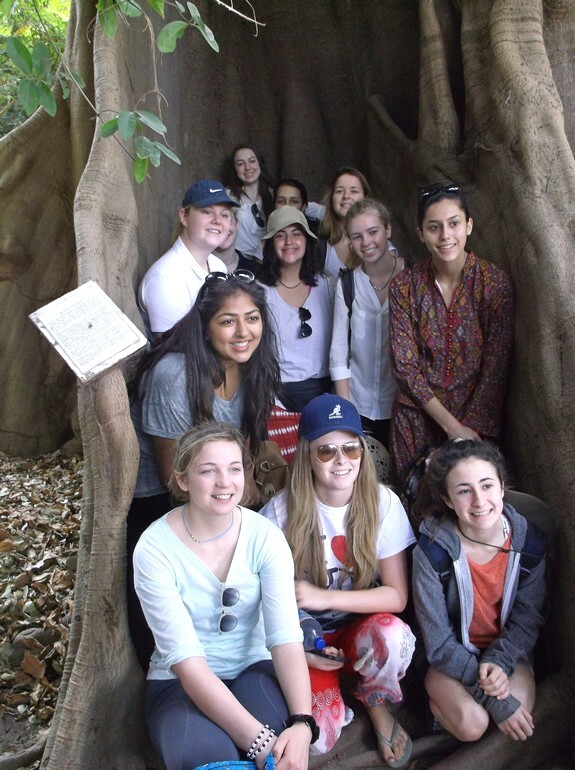 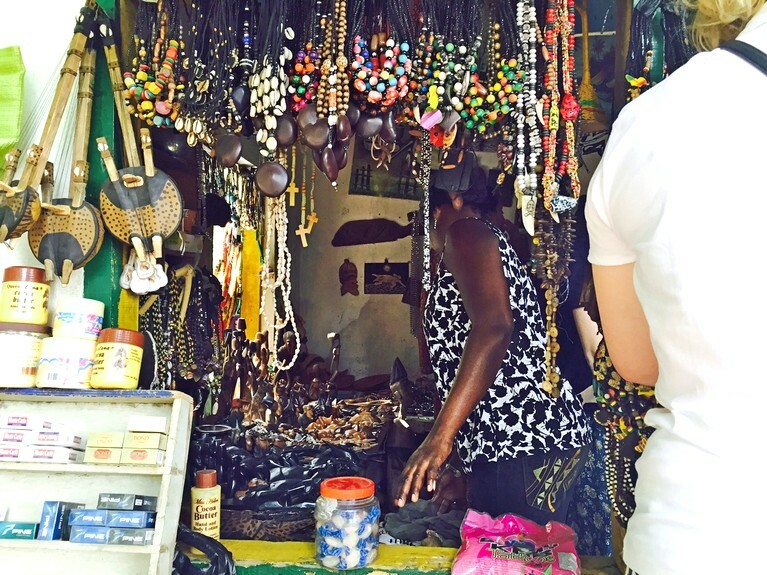 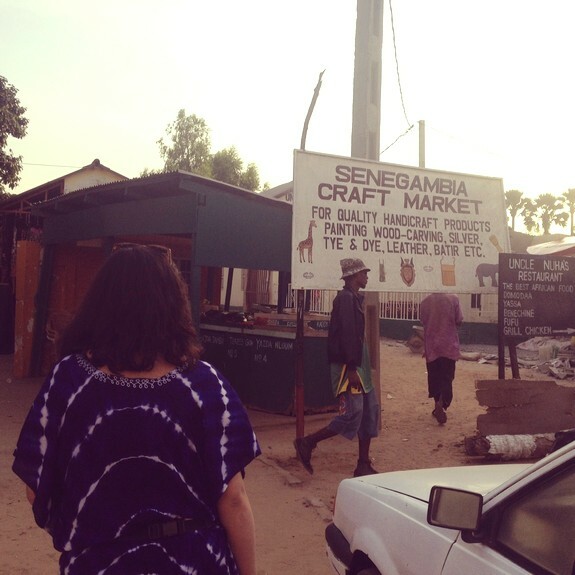 We arrived after lunchtime and spent the afternoon familiarising ourselves with Kolioli, the tourist area around the Senegambia Hotel, where we were staying, particularly the local crafts markets. 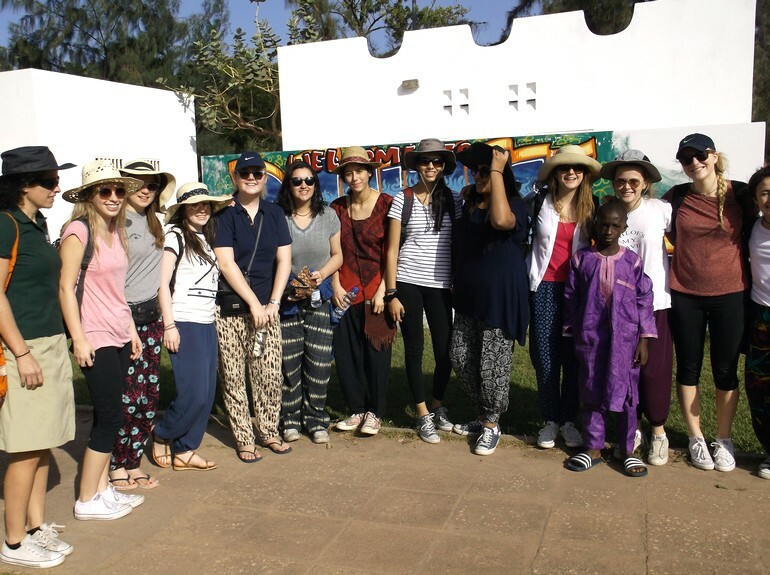 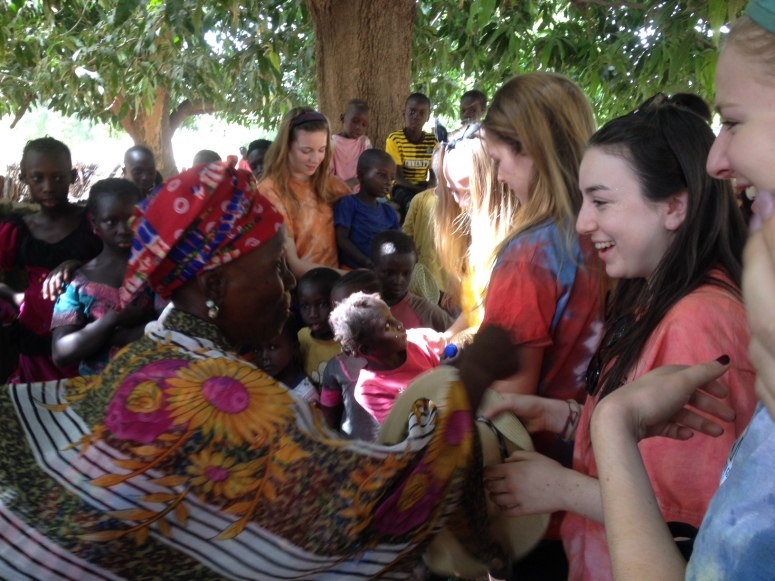 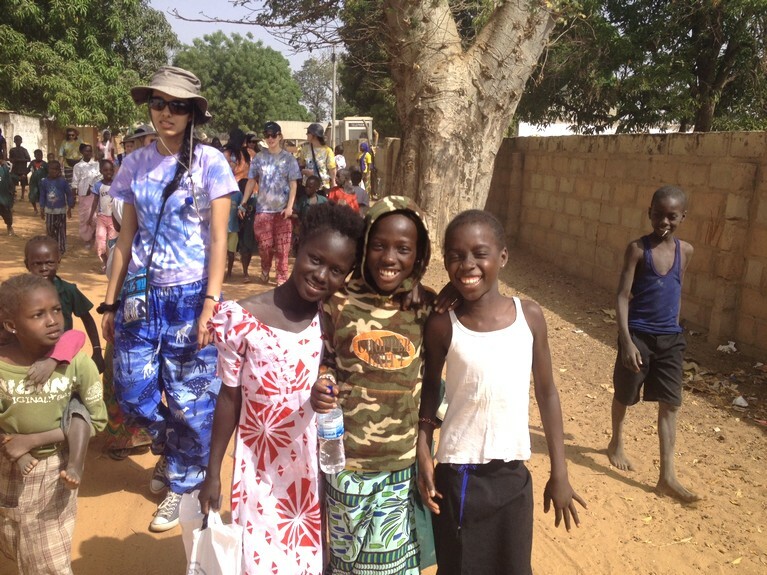 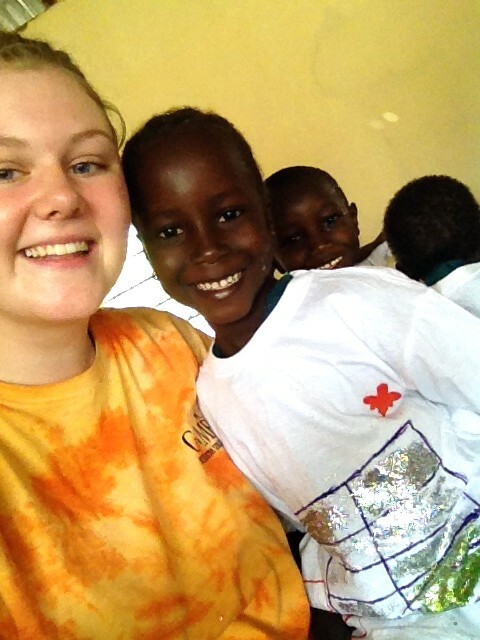 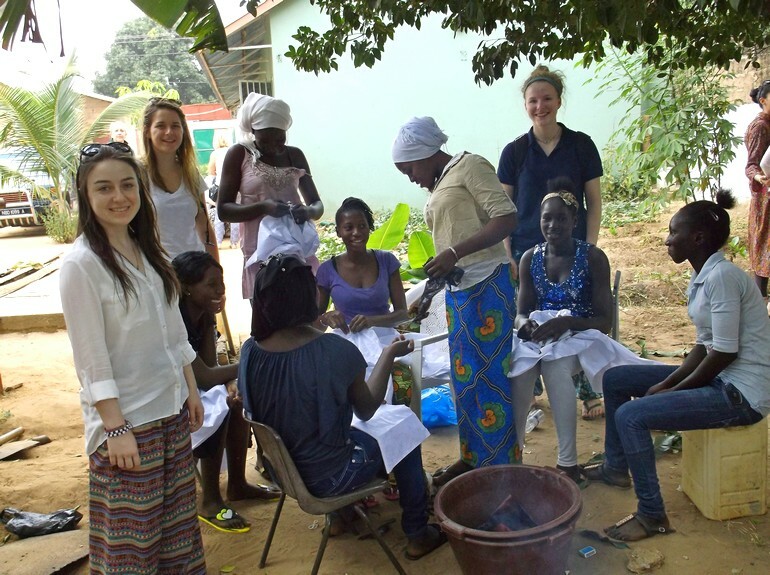 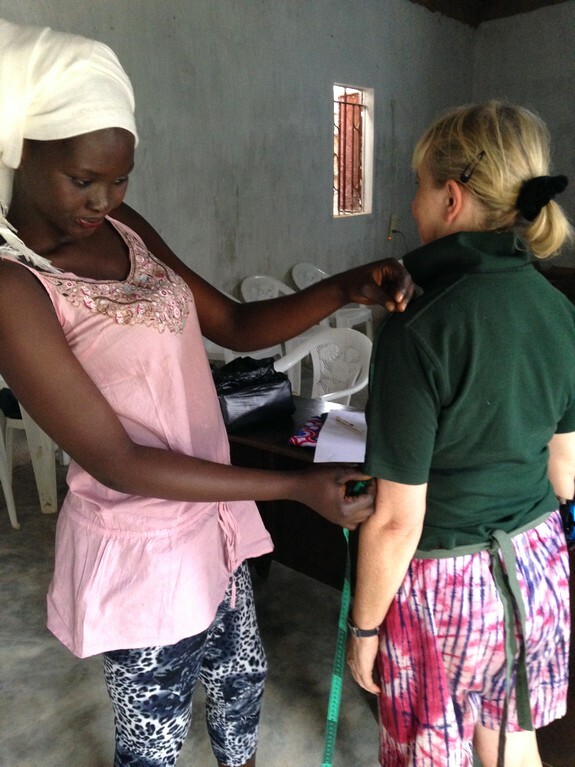 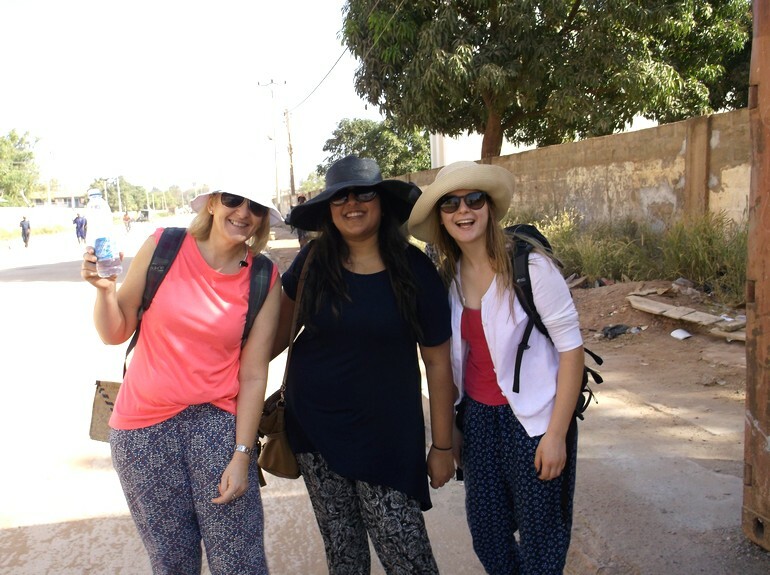 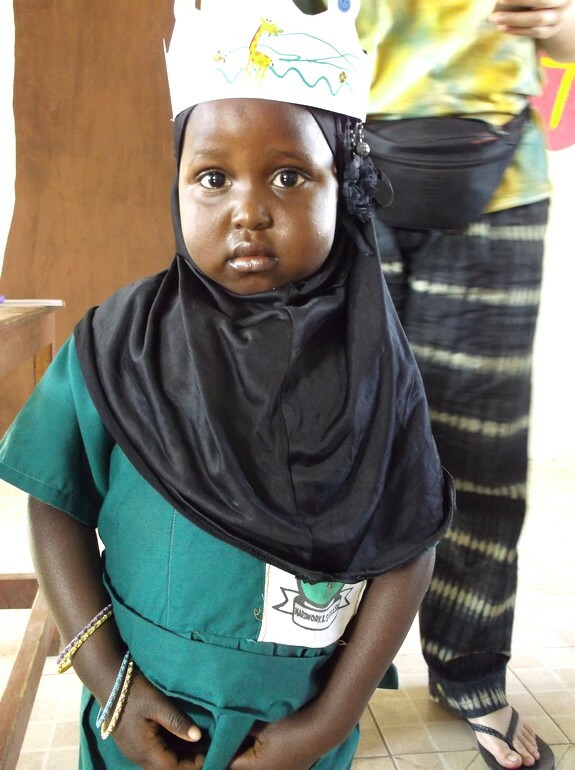 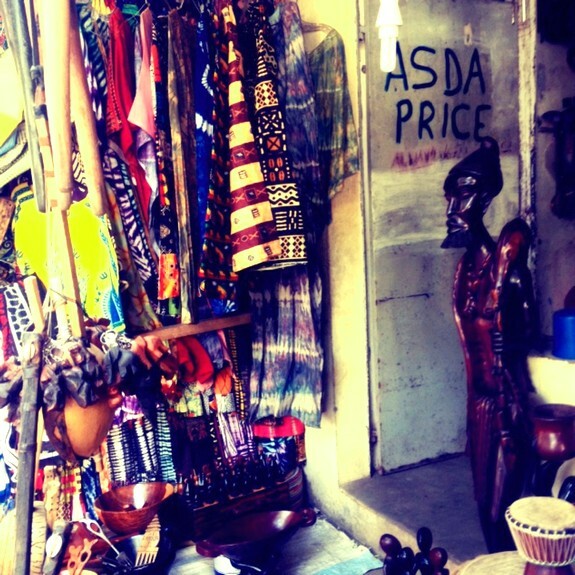 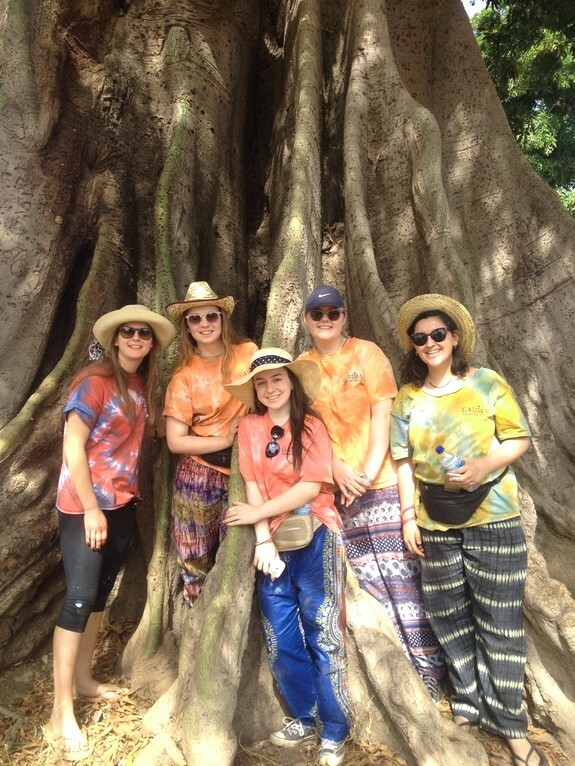 We soon developed the skill required for haggling with local traders and bought various Gambian clothes and gifts. 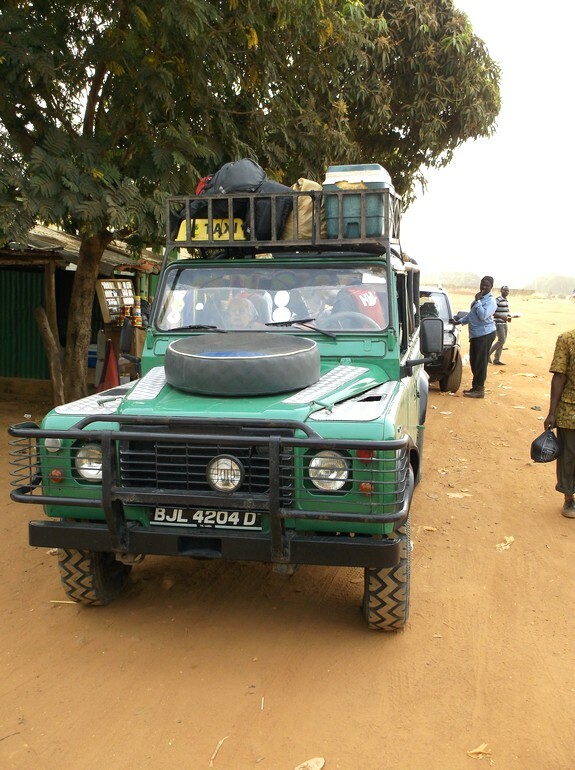 The next day, we were greeted by our Jeep drivers Nicky and Alagie, who drove us into the centre of Banjul, the capital city. 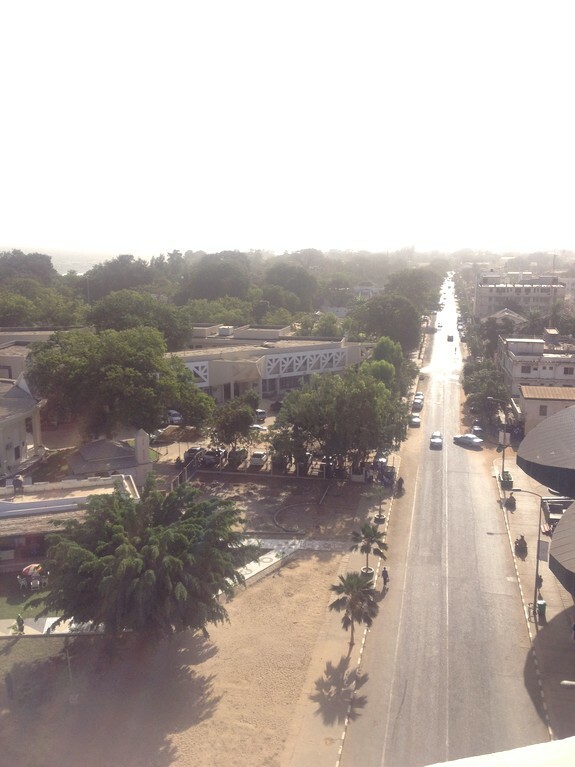 We began by climbing Arch 22, which was built in 1996 to commemorate the military coup which resulted in President Jammeh’s rise to power. 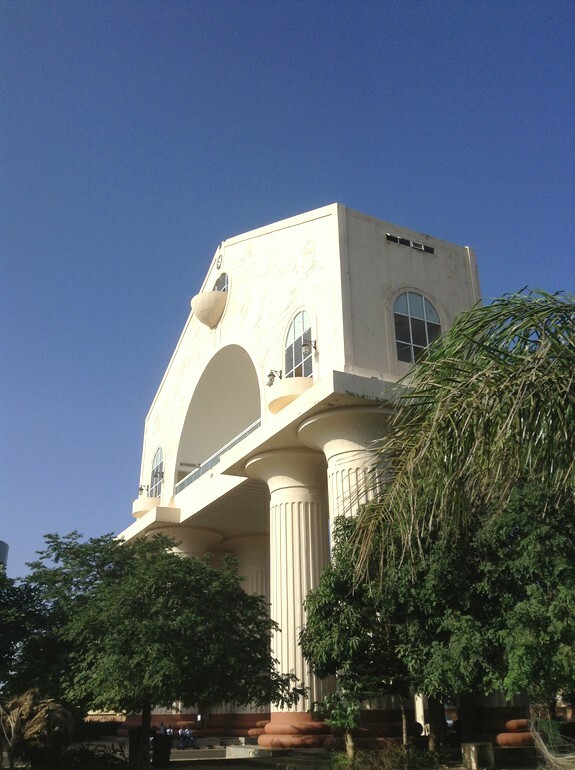 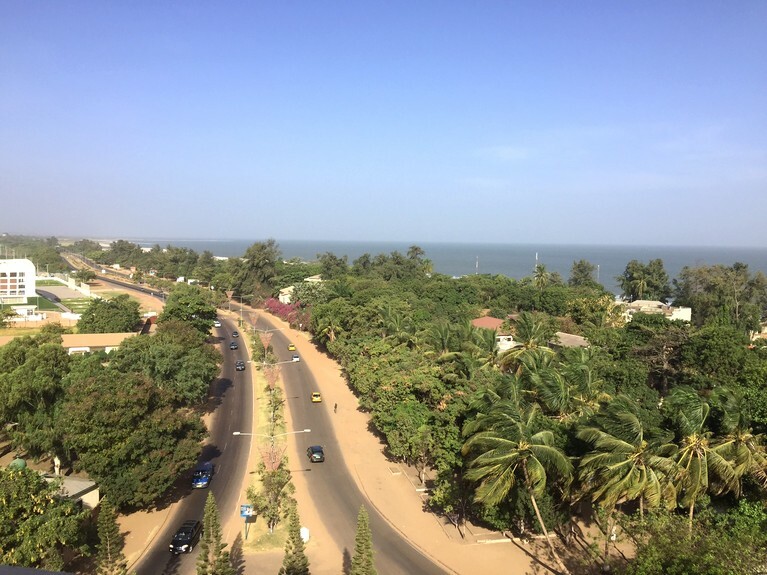 At 35 metres it is one of the tallest structures in The Gambia, and provided a magnificent, panoramic view of the capital city. 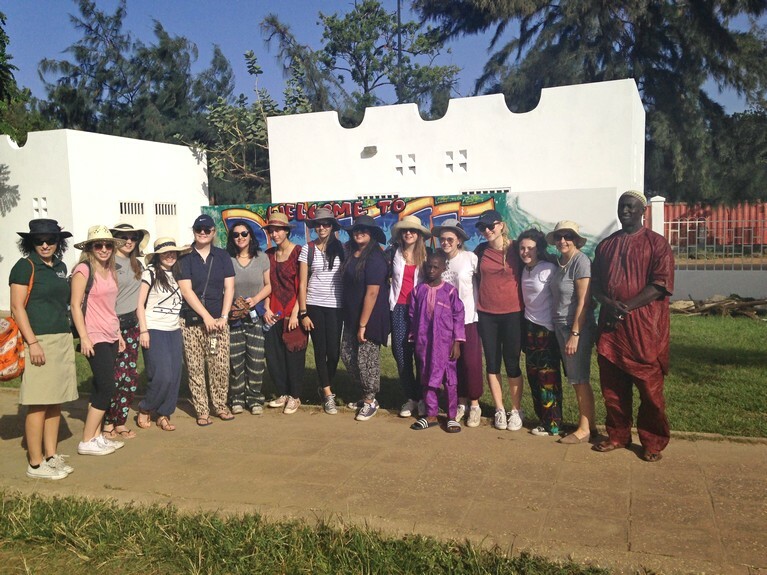 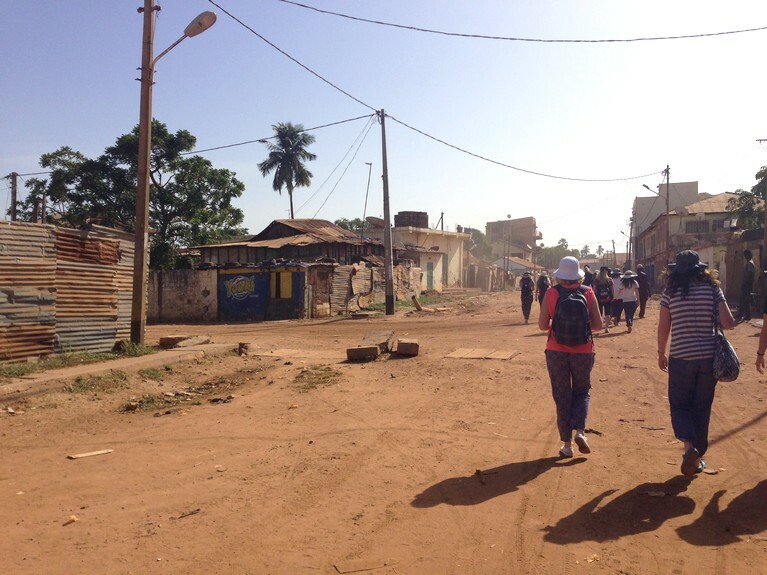 Our project manager, Lamin, guided us around the streets of Banjul, where were able to get an insight into ‘the real’ Gambia. 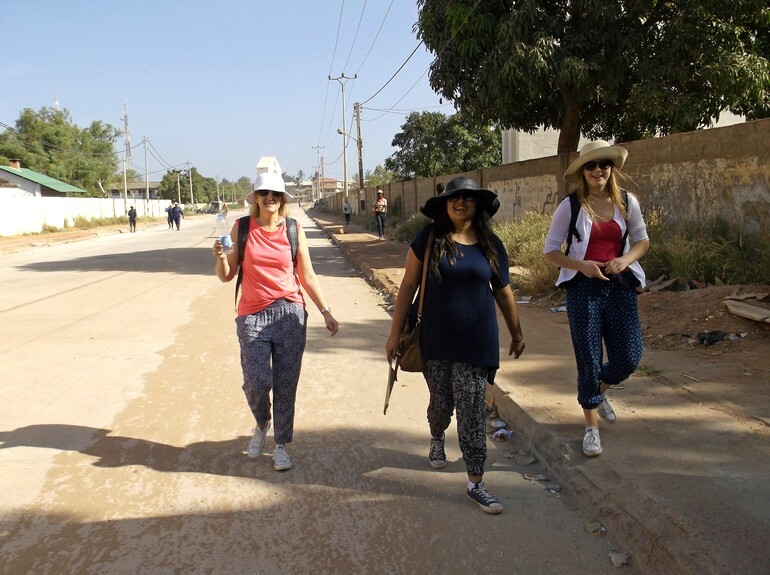 The contrast between the sanitised tourist areas and the urban centre was striking and we were humbled by the kindness and hospitality of the local people. 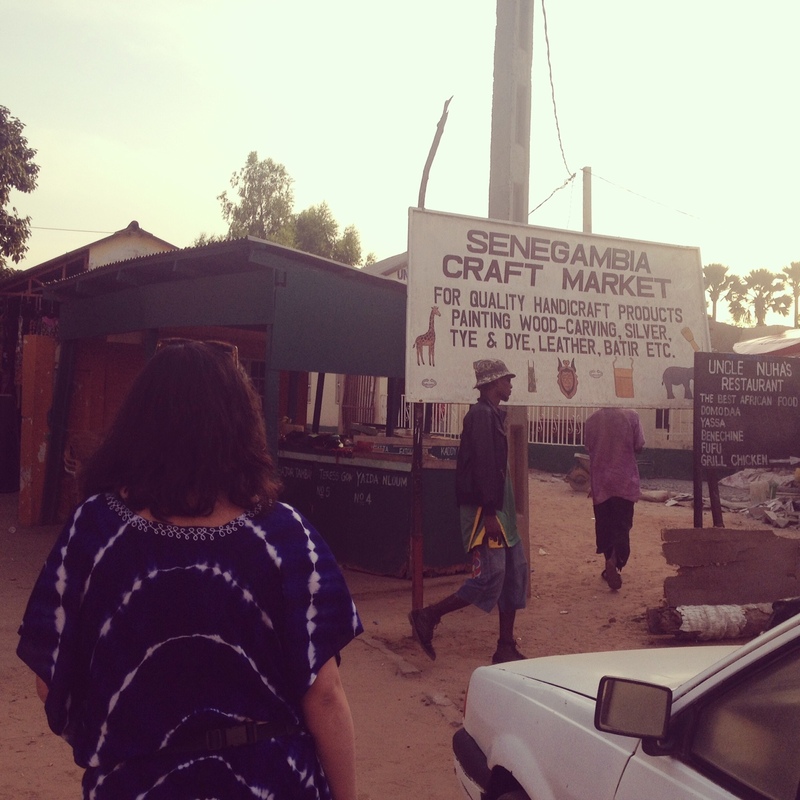 A visit to the hectic and bustling Albert Market gave us an understanding of the type of trade and work within the urban areas of the Gambia. 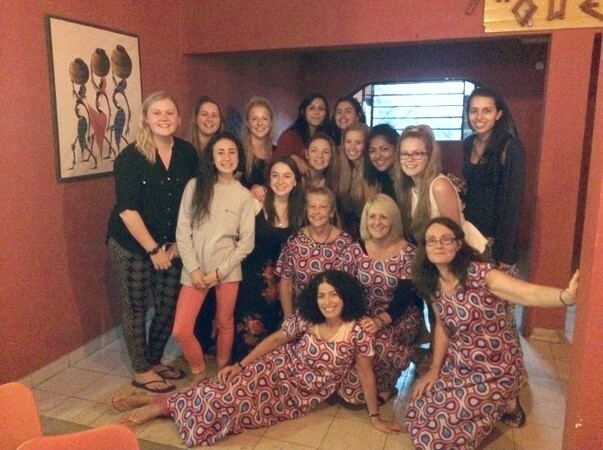 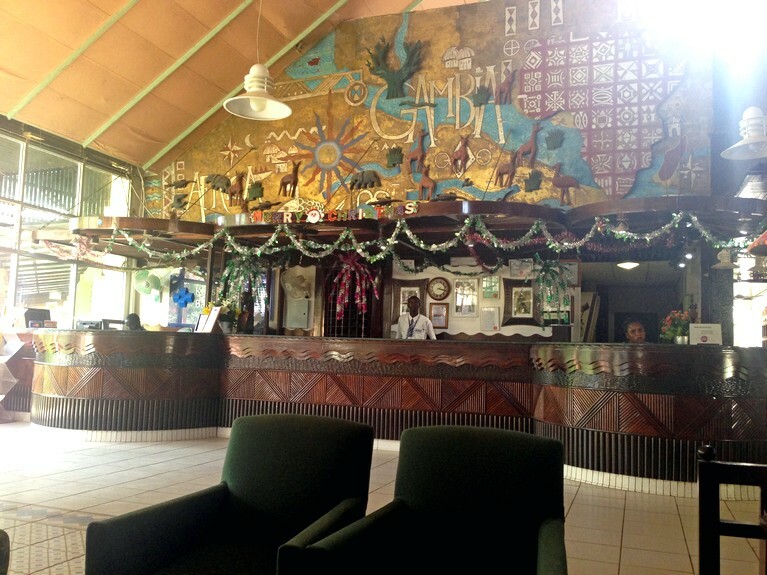 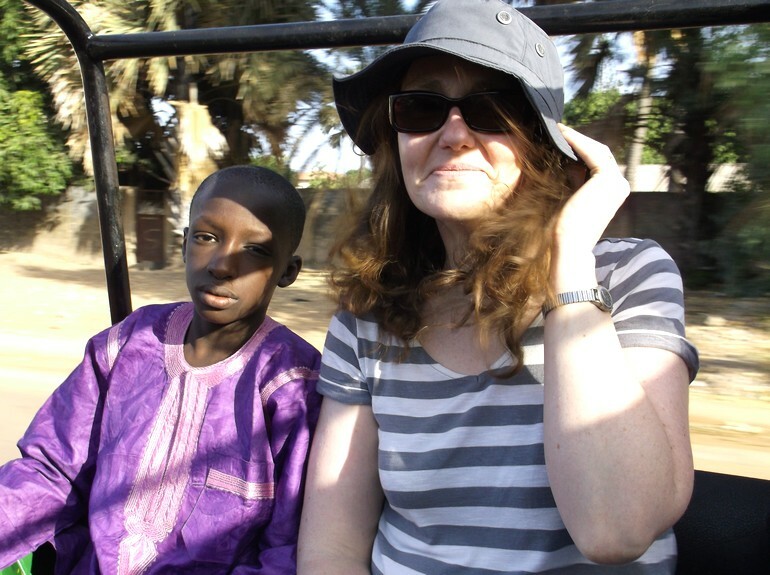 Our day was concluded by `a trip to the African Queen restaurant in Kolioli, which became our favourite restaurant due to the traditional Gambian sizzling chicken and an extremely enthusiastic waiter. 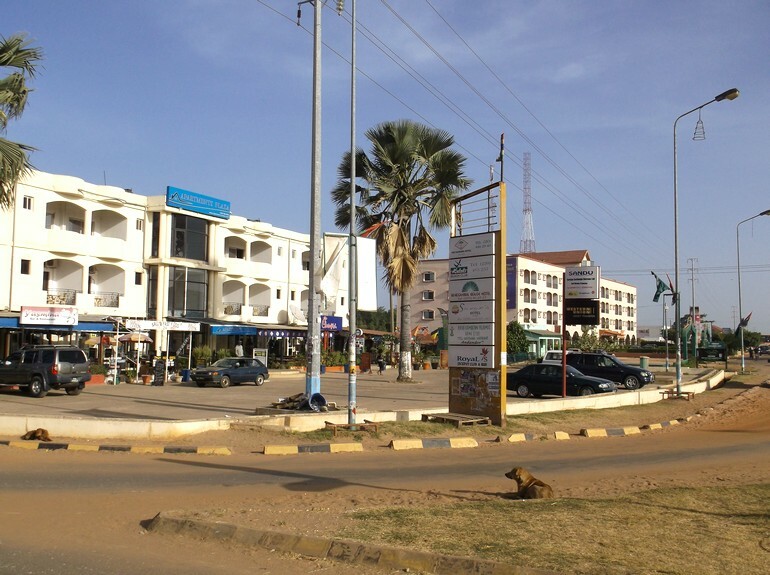 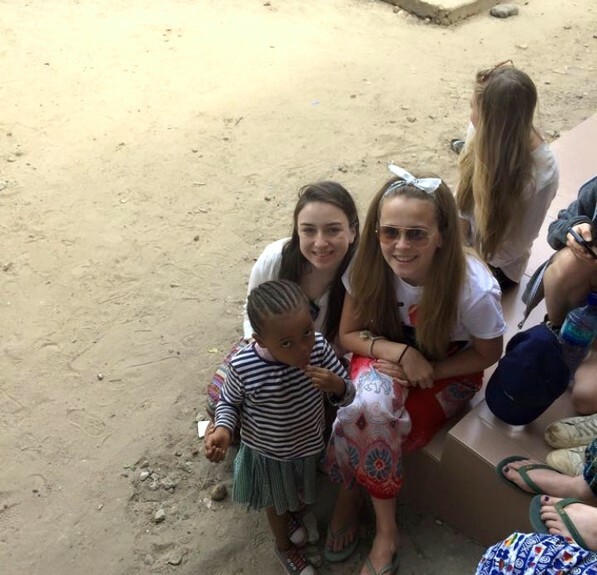 We were very excited at the prospect of our trip upcountry to Illiasa, so that we could get involved in the project for which we had raised funds over the past year. 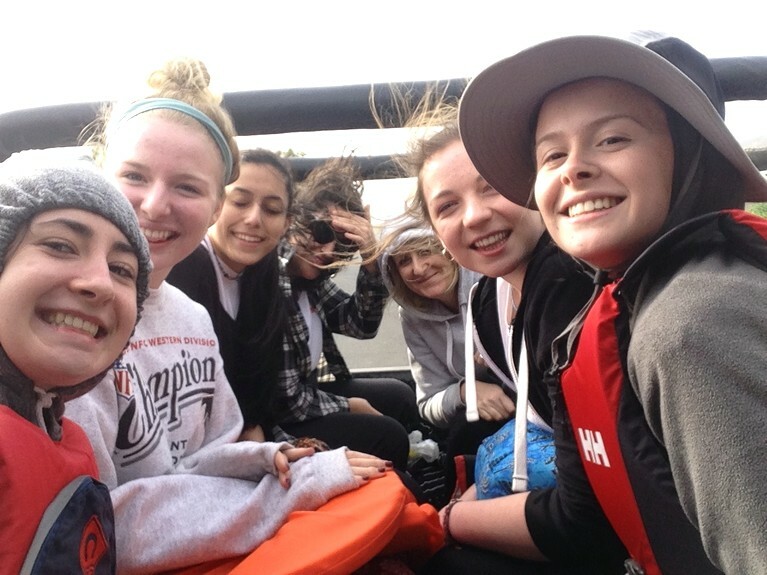 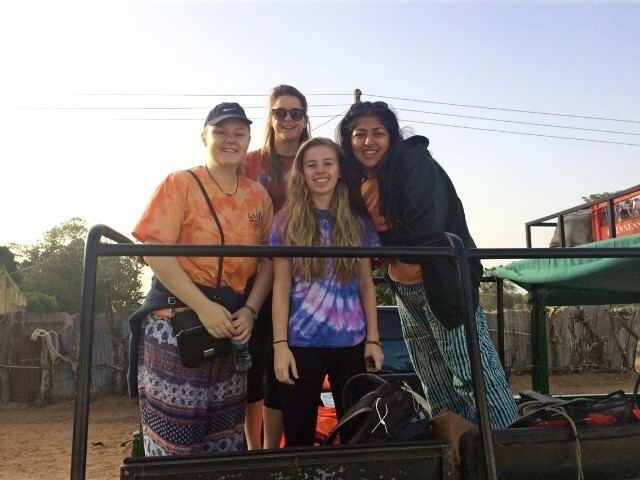 We set off in open-topped Jeeps in the dark, and saw the sun rise on our journey to the ferry stop. We performed a medley of songs to pass the time on our three-hour journey and soon arrived on the riverside. 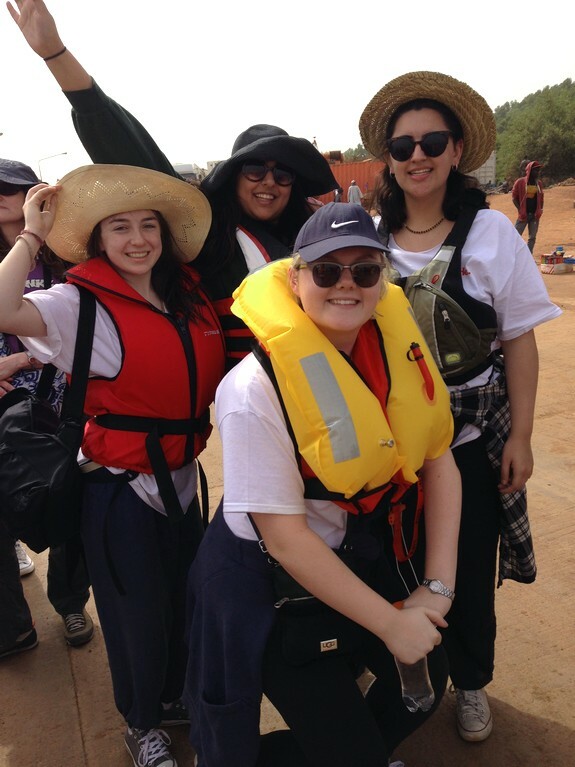 The ferry stop was extremely busy, with a queue of approximately 50 lorries, and stalls on either side of the road. 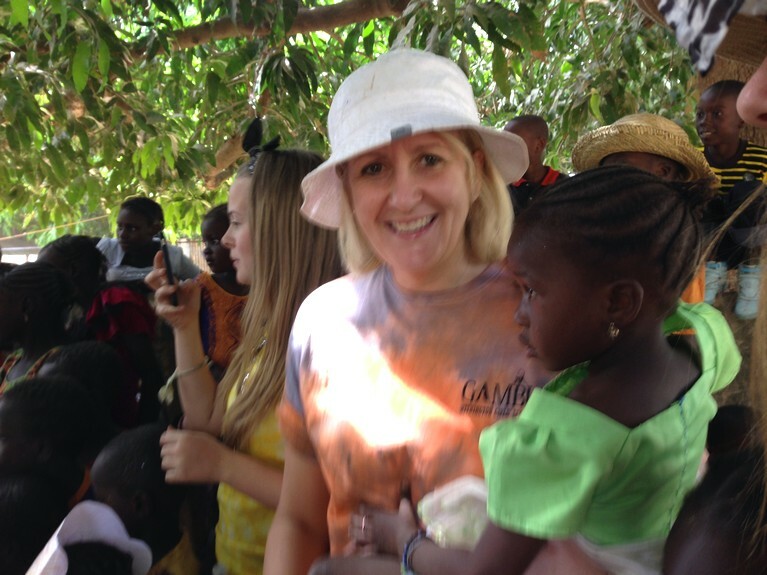 We joined the hundreds of Gambian people to wait for the ferry to carry us across the river Gambia. 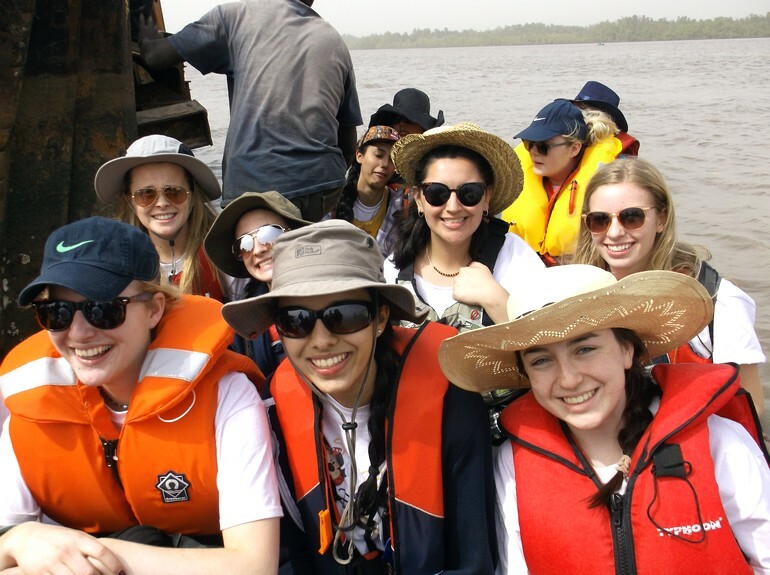 After several hours of waiting, Lamin, our tour guide, arranged for us to cross in a small boat, which was rather exciting! 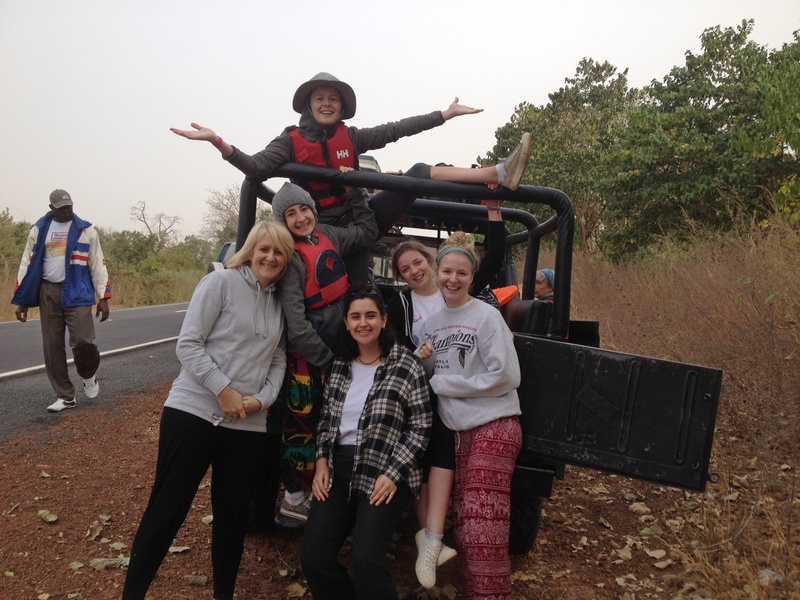 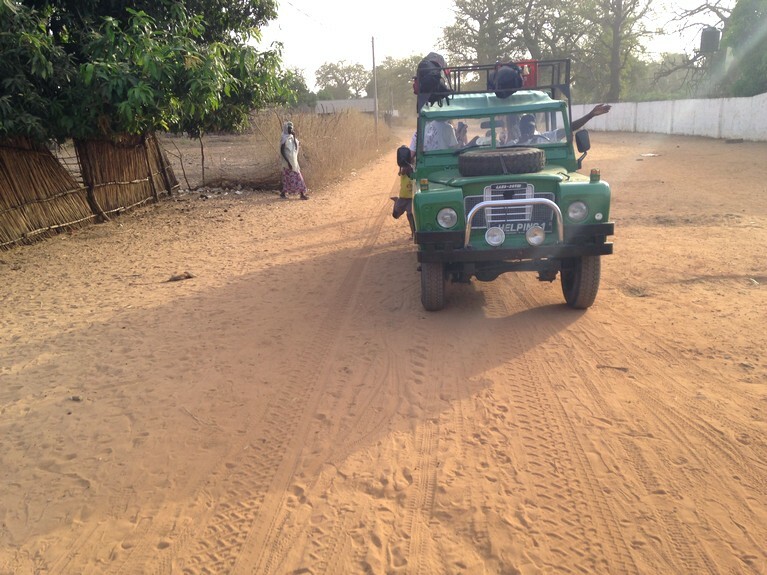 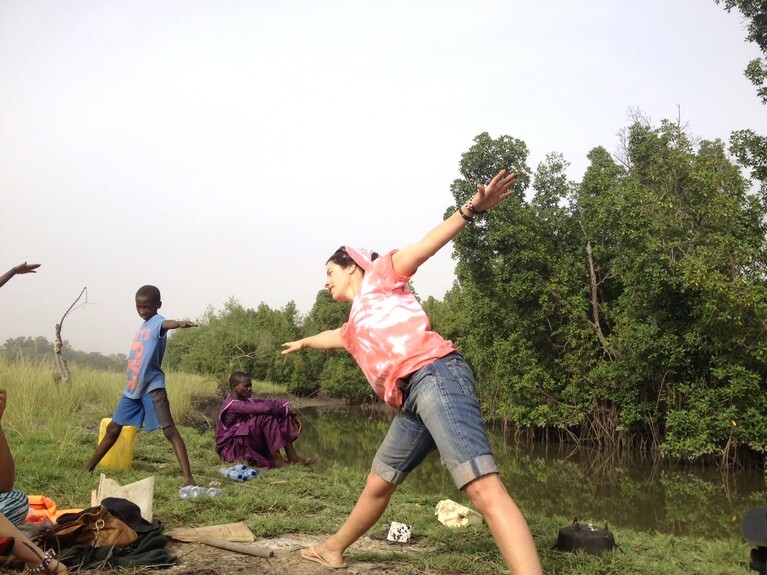 We safely made it across the river, where we were met by a Gambian bus taxi for the final leg of our journey. 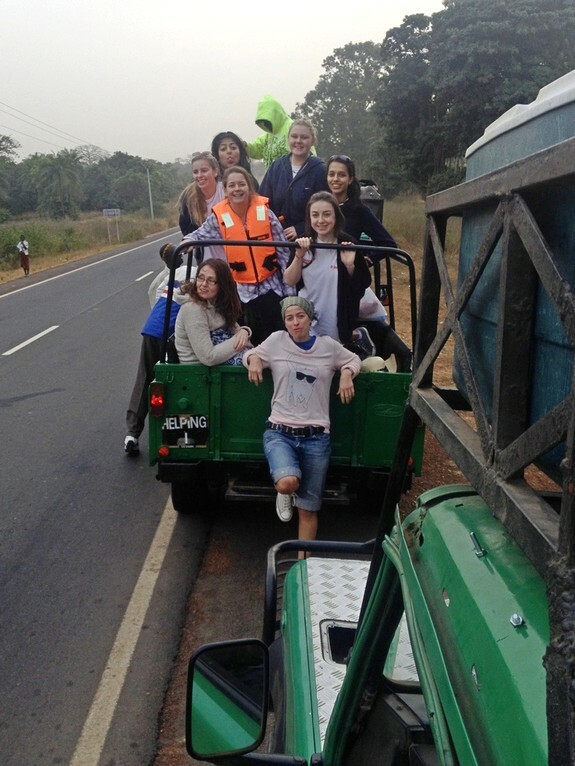 The rickety bus, compounded by the uneven road surface made for a very bumpy journey. 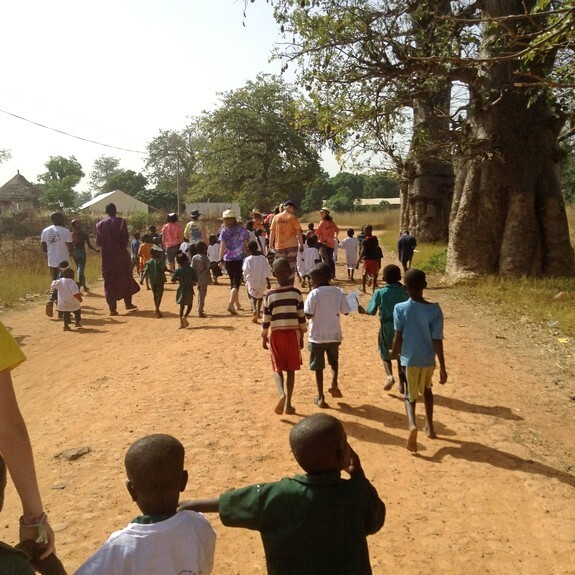 Spirits were lifted as we arrived in rural Illiasa, where the local children chased the bus down the street in anticipation of our arrival. 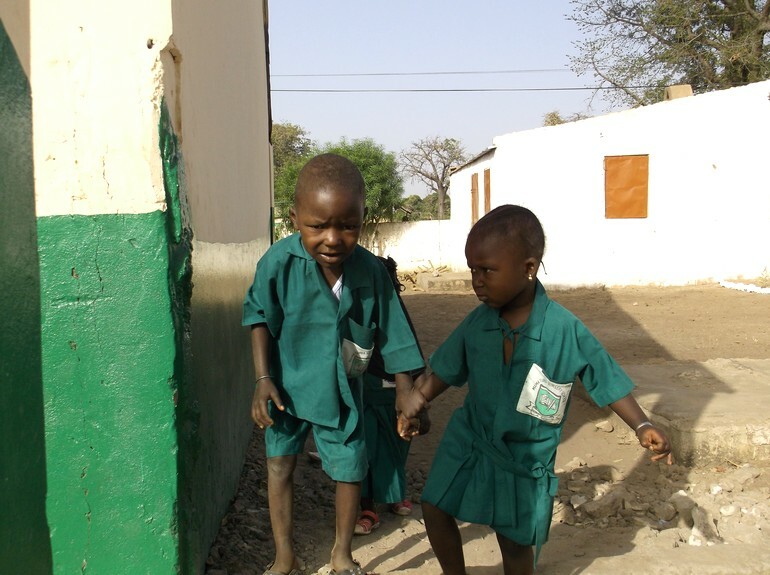 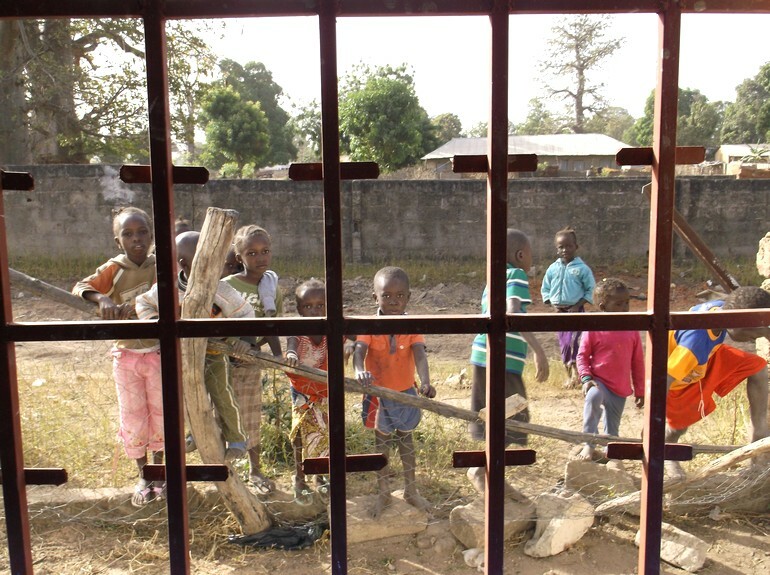 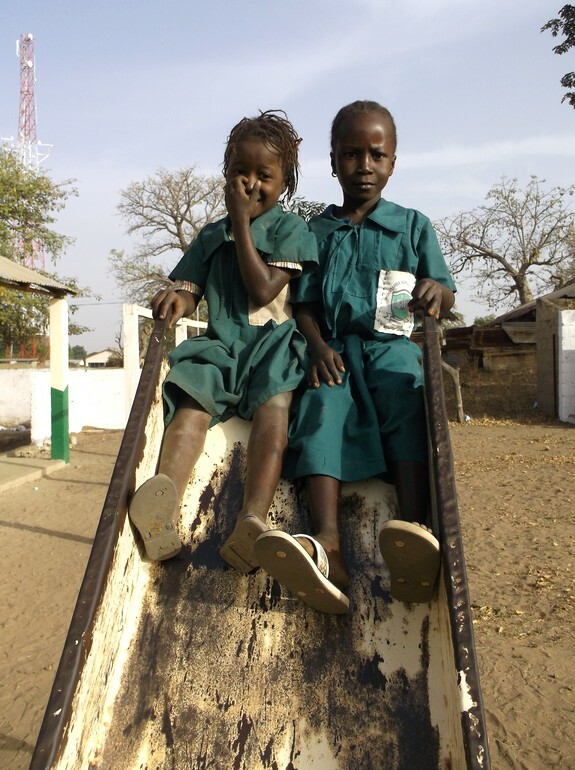 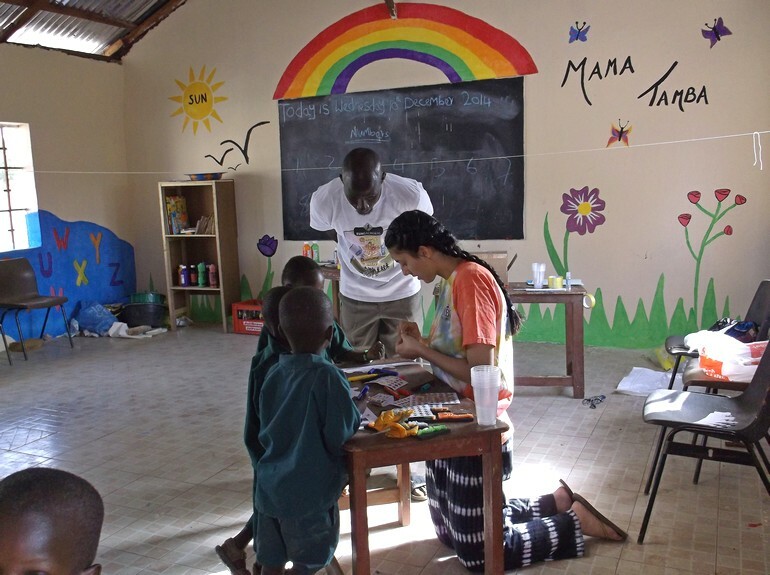 Tamba, Lamin’s brother and the headmaster of the Nursery, took us into each of the classes where the children sang some of the rhymes that they had been learning. 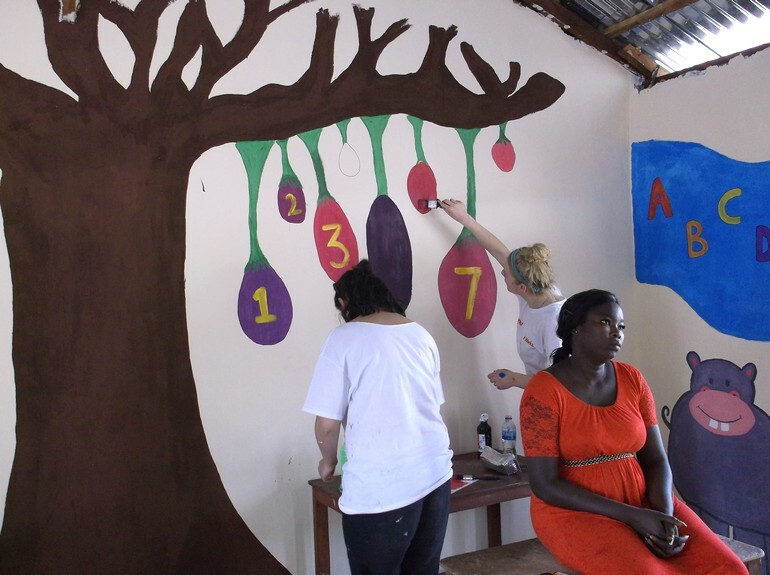 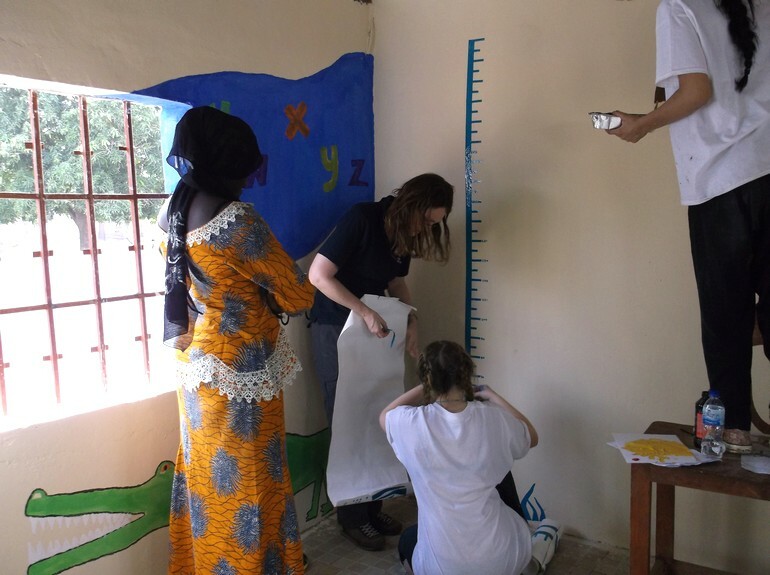 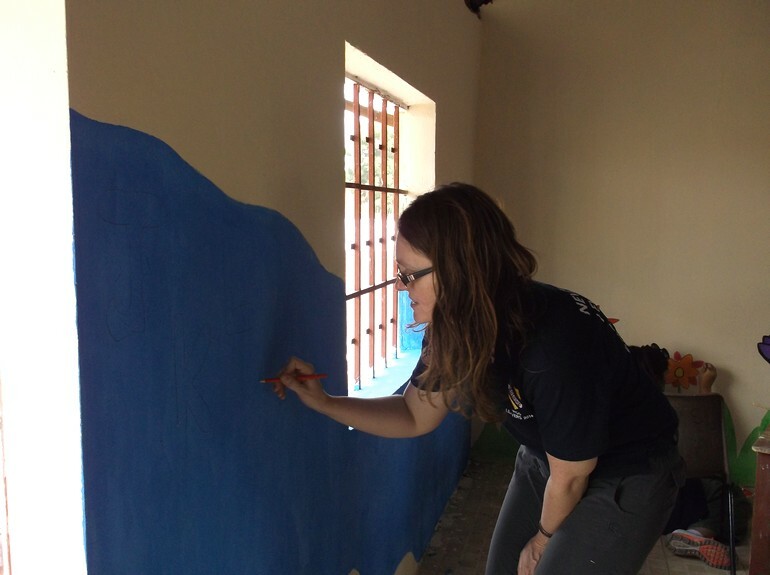 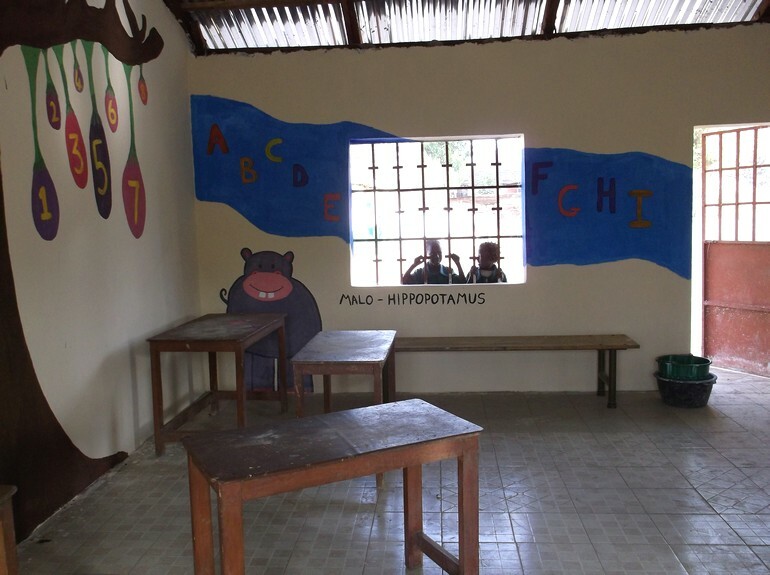 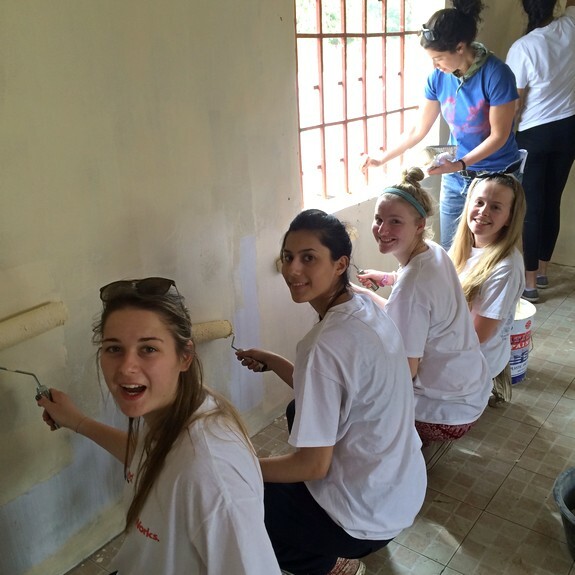 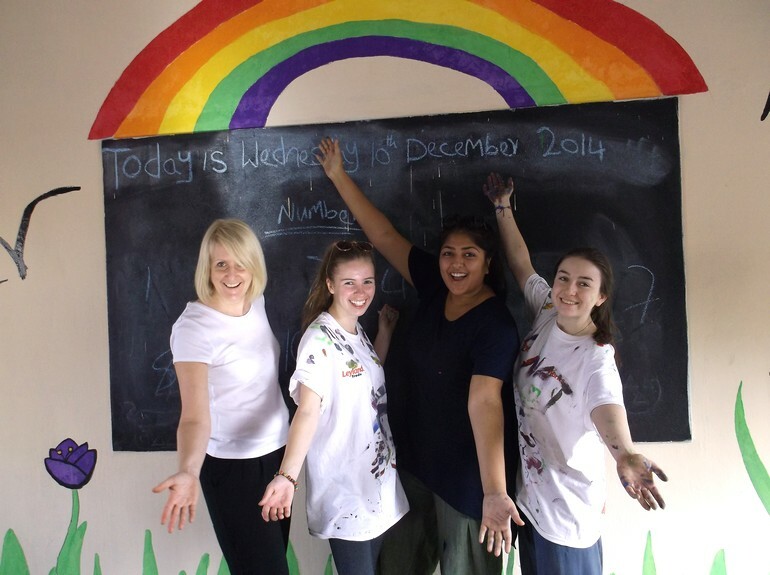 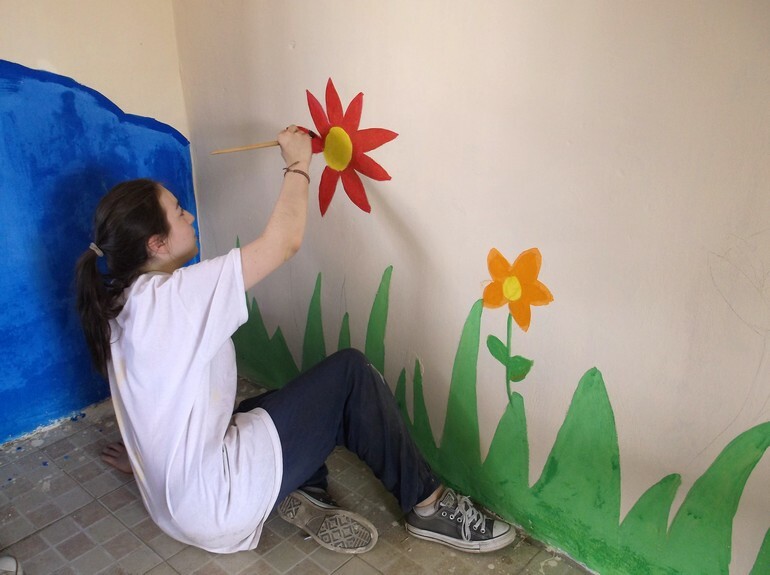 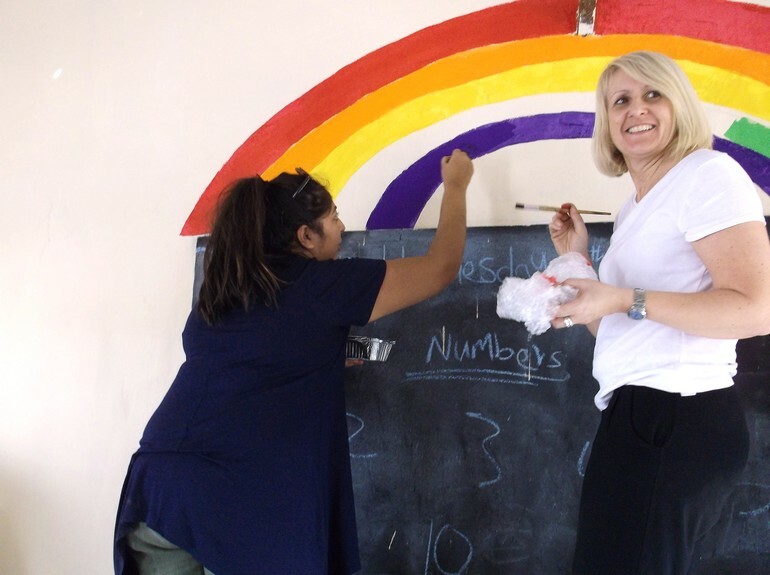 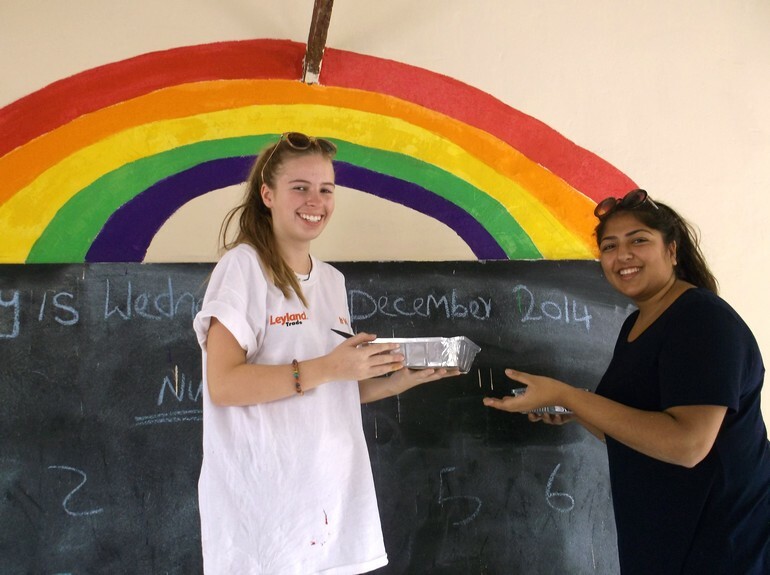 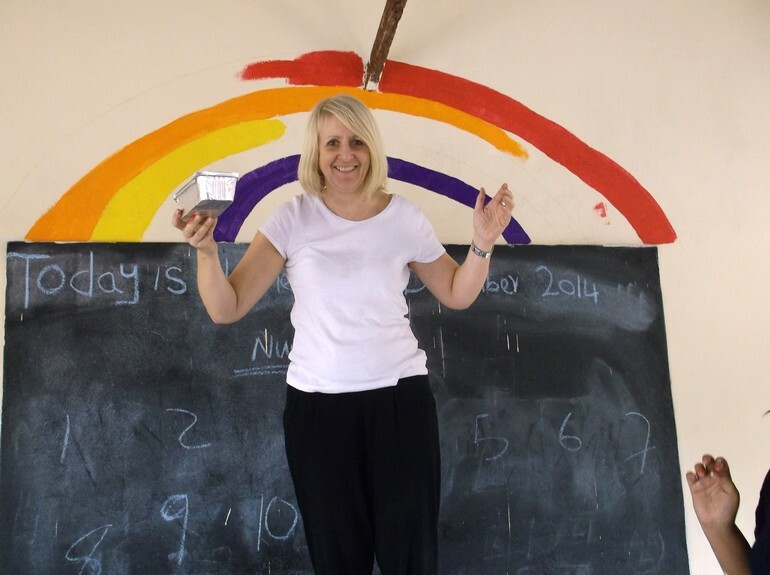 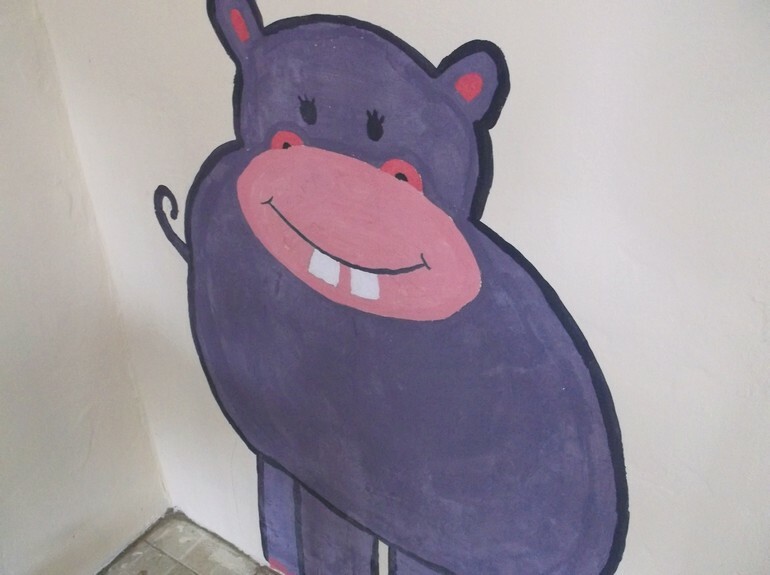 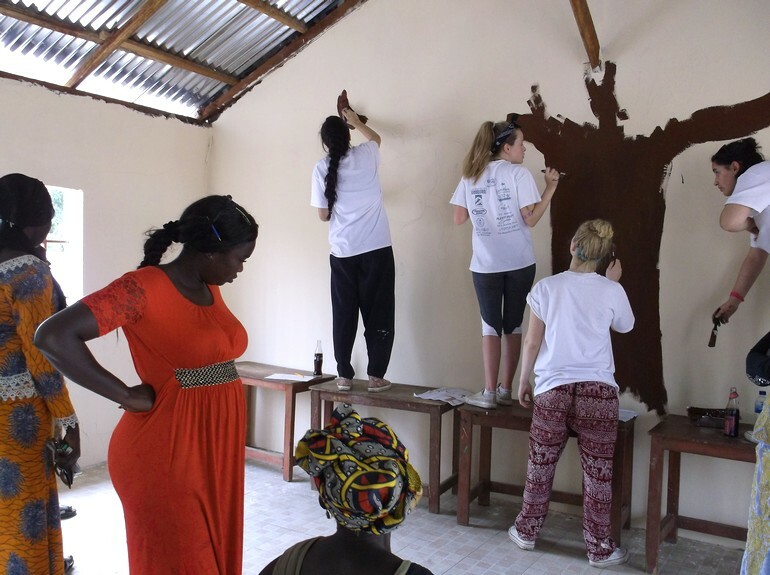 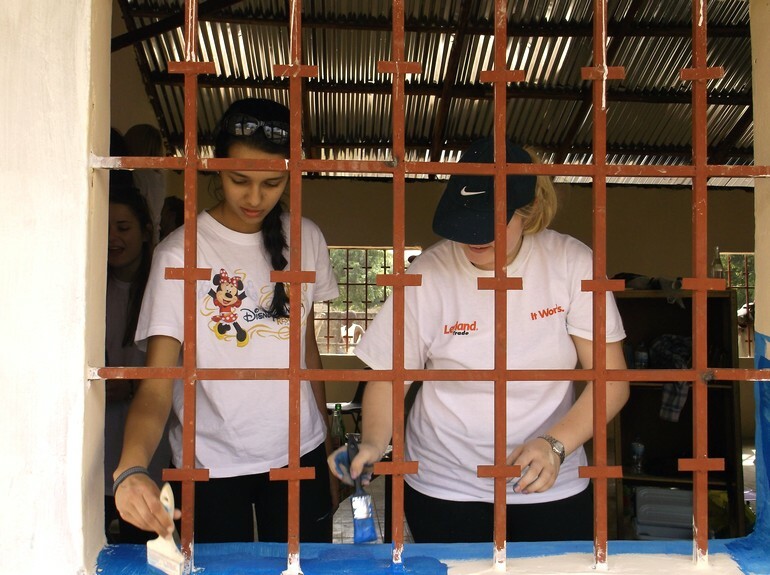 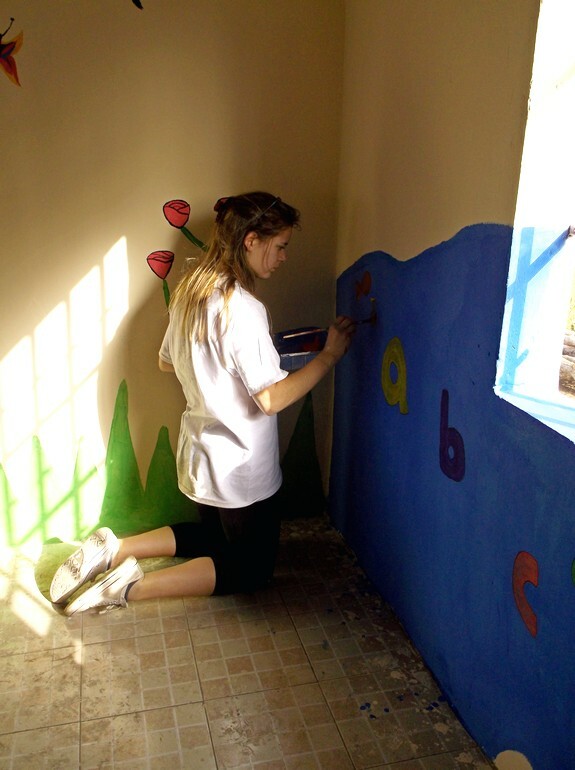 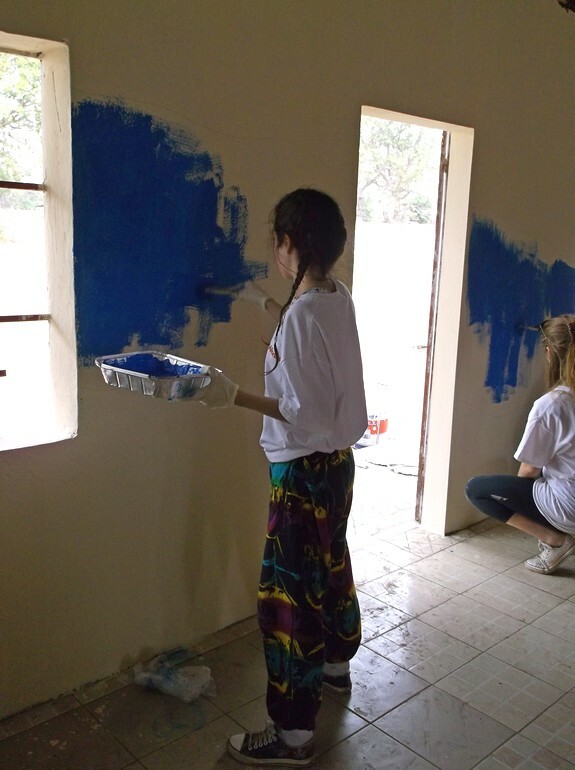 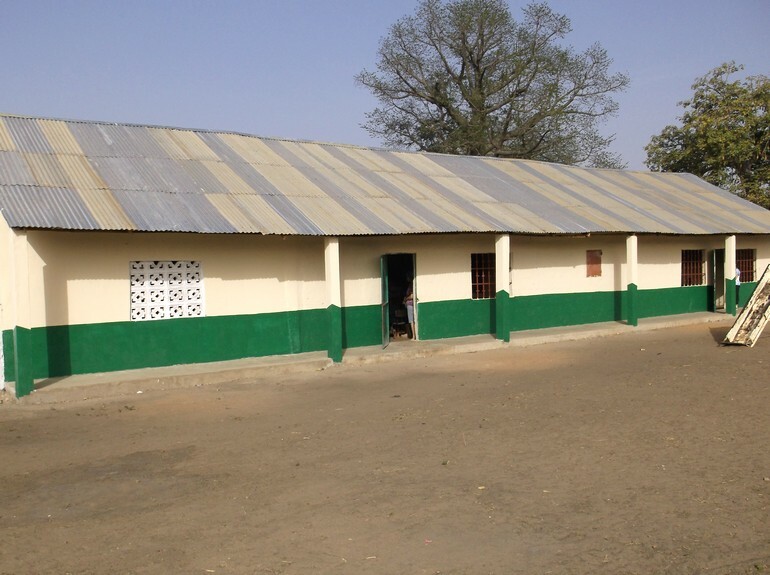 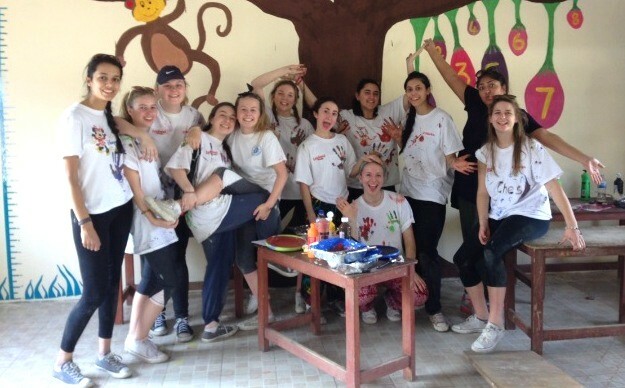 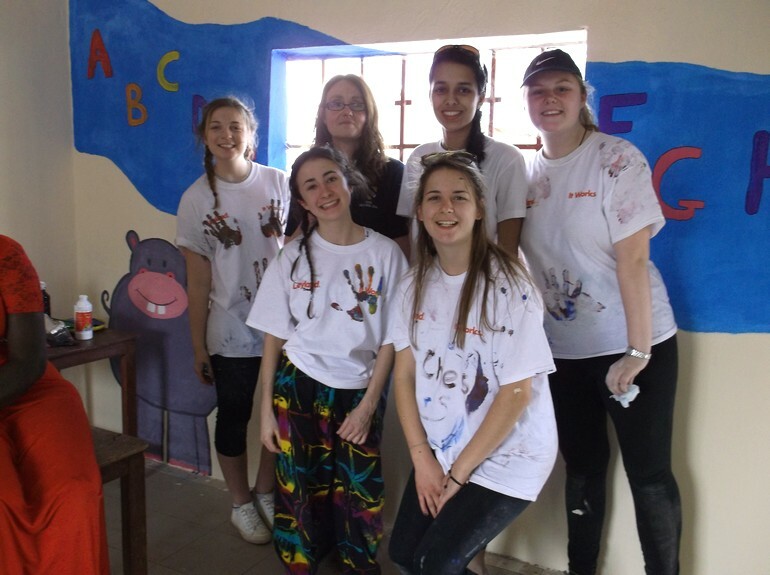 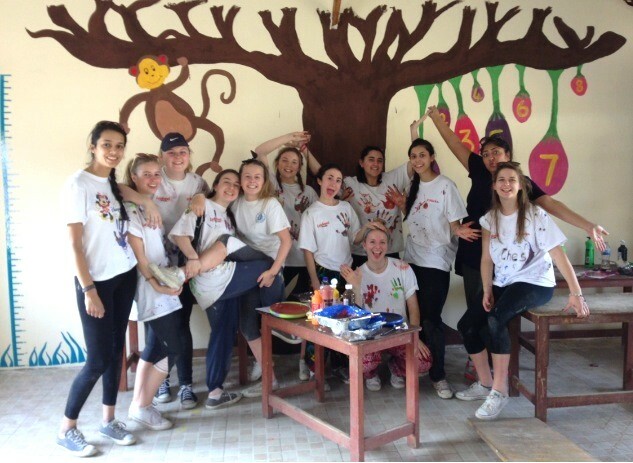 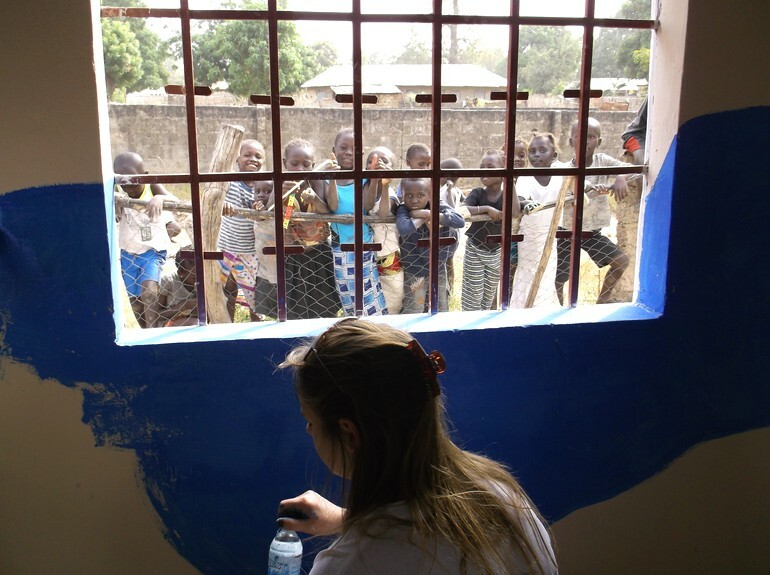 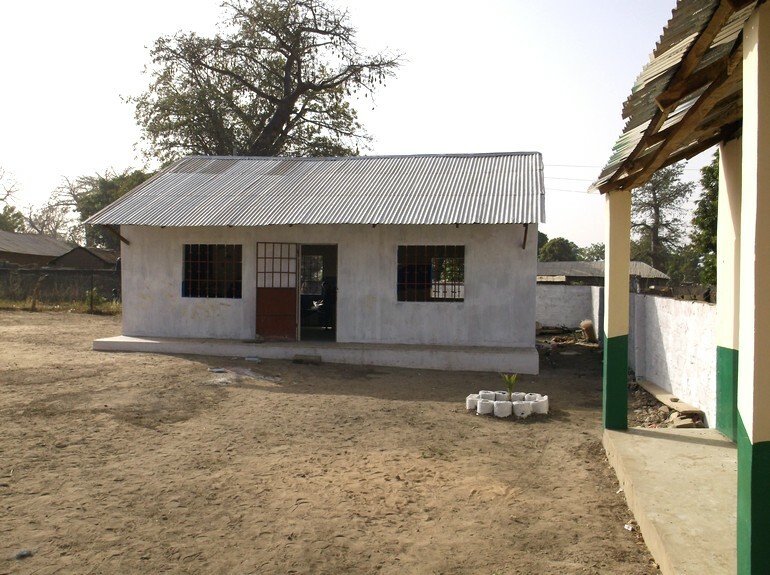 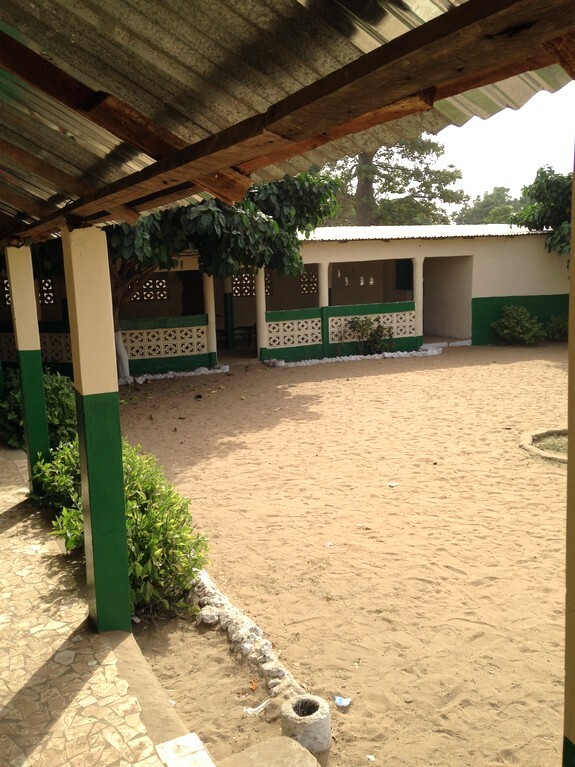 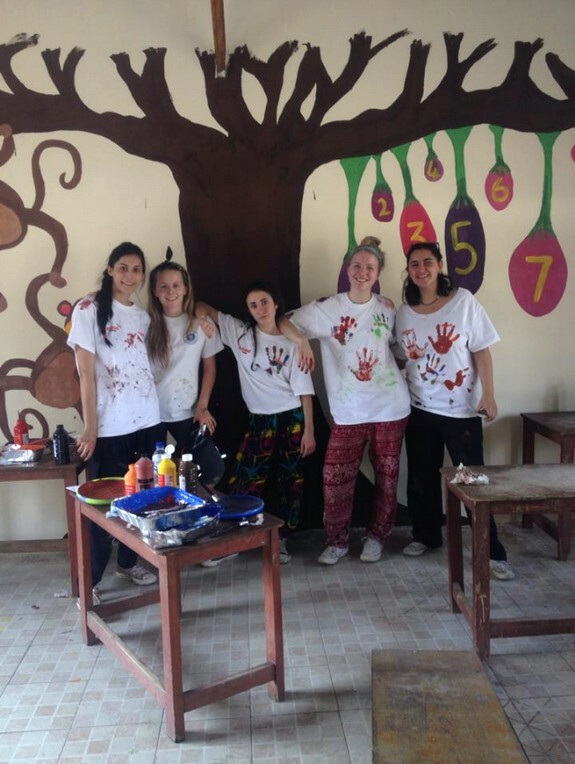 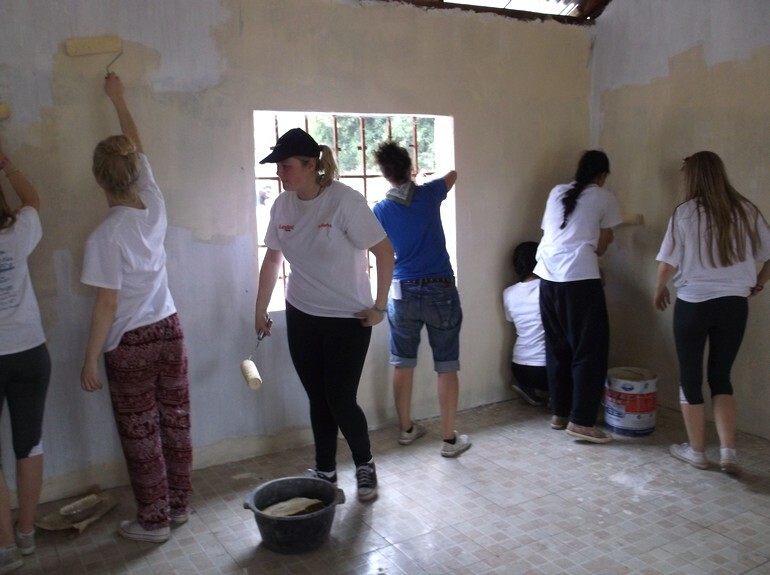 We then set about painting the newly established classroom constructed with the proceeds of our fundraising. 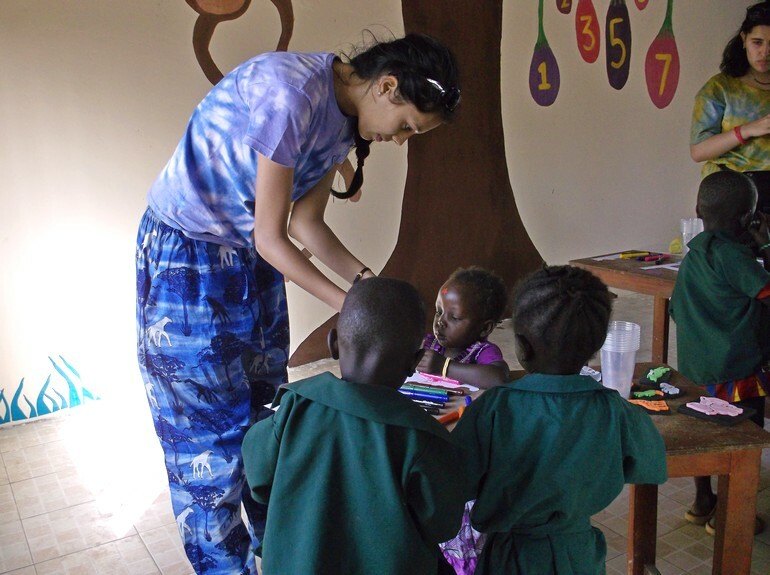 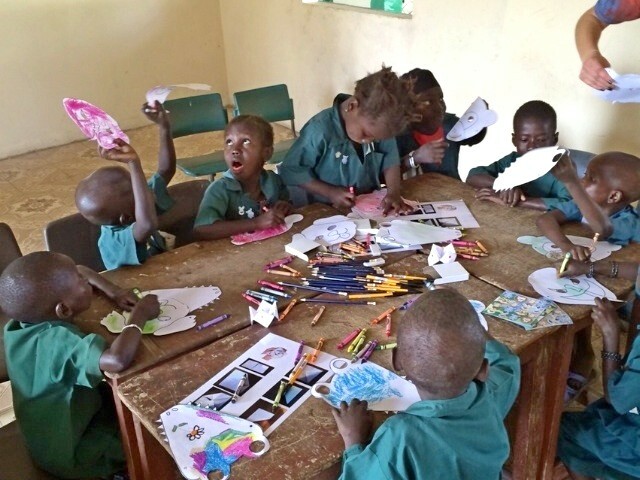 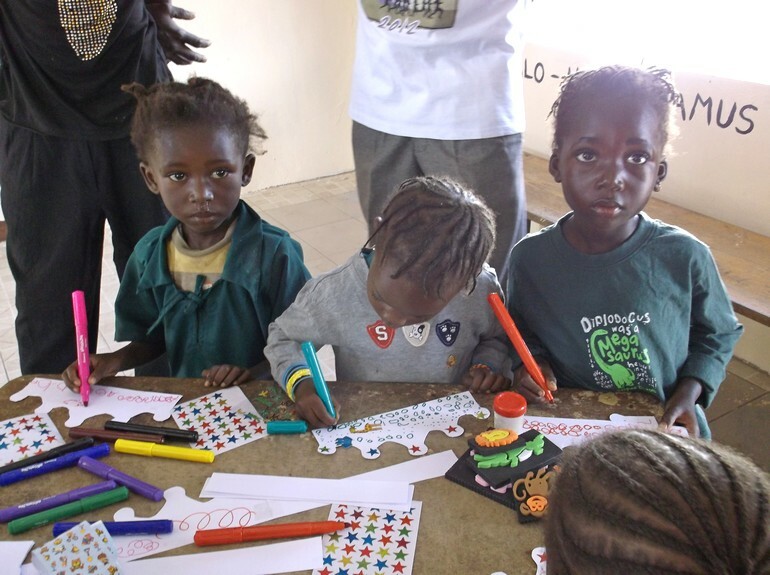 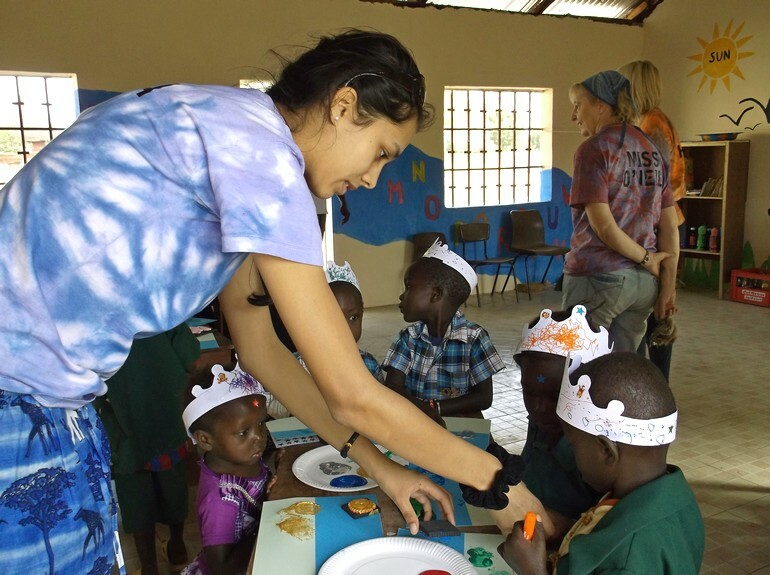 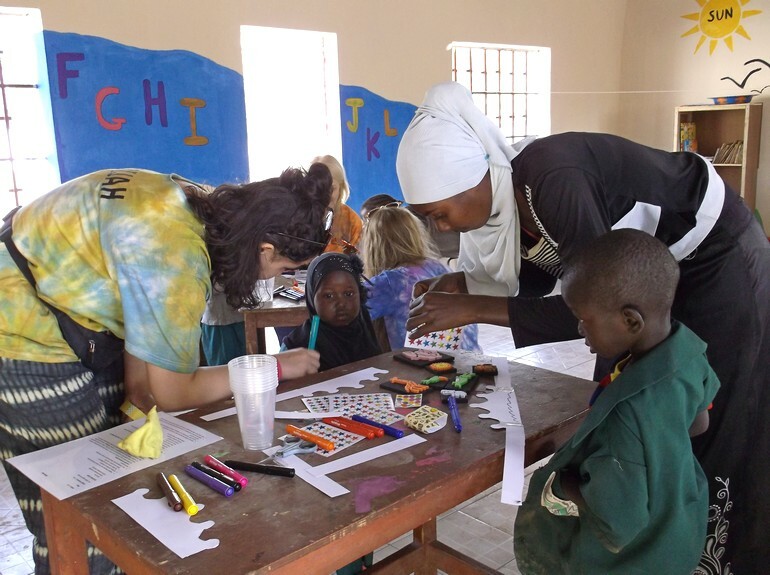 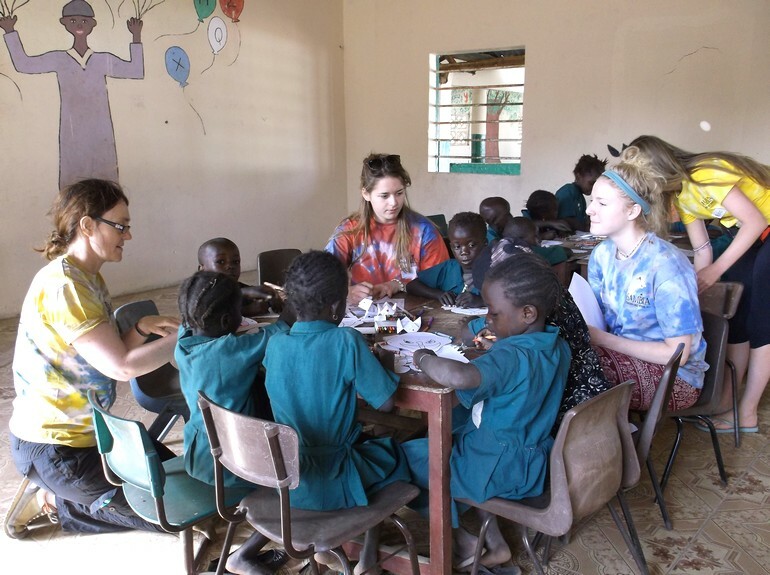 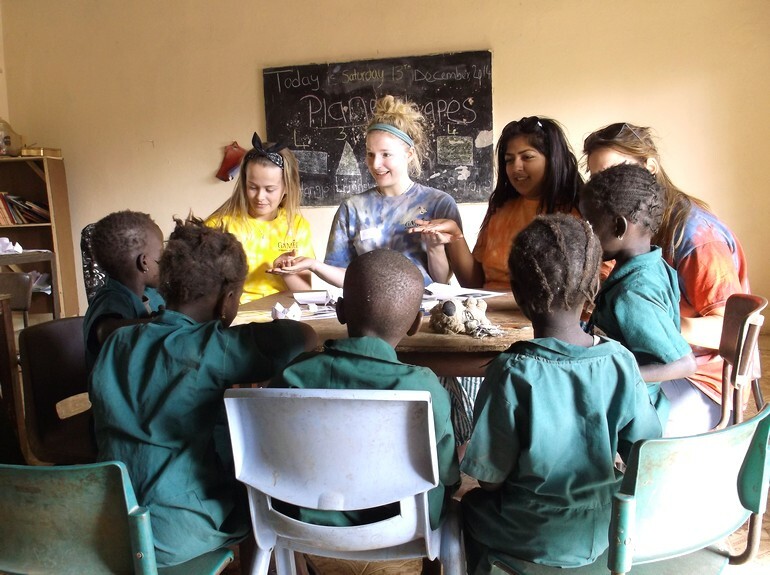 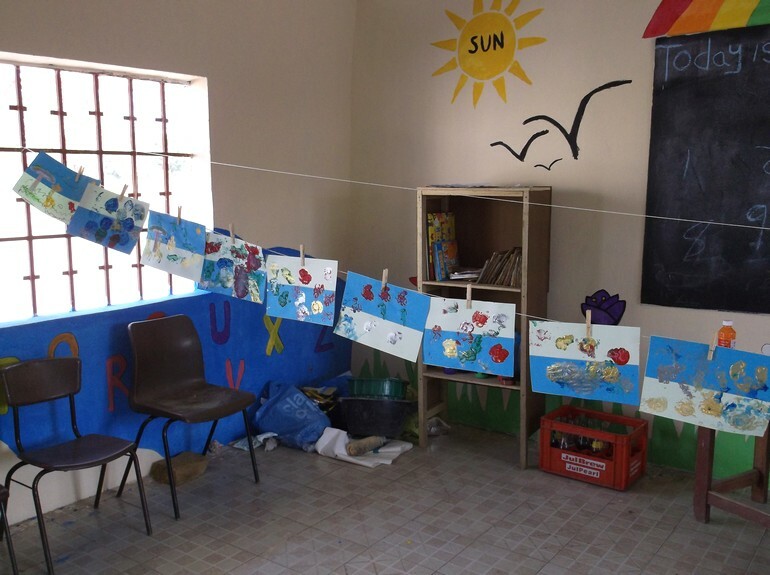 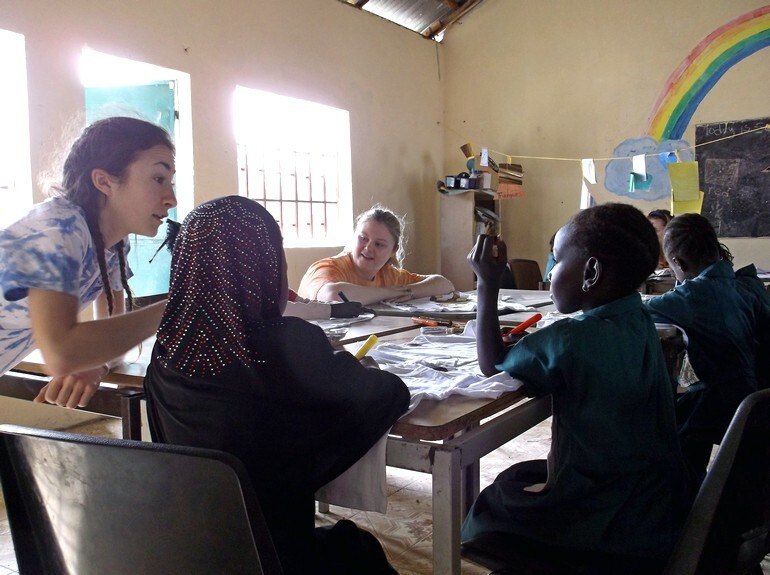 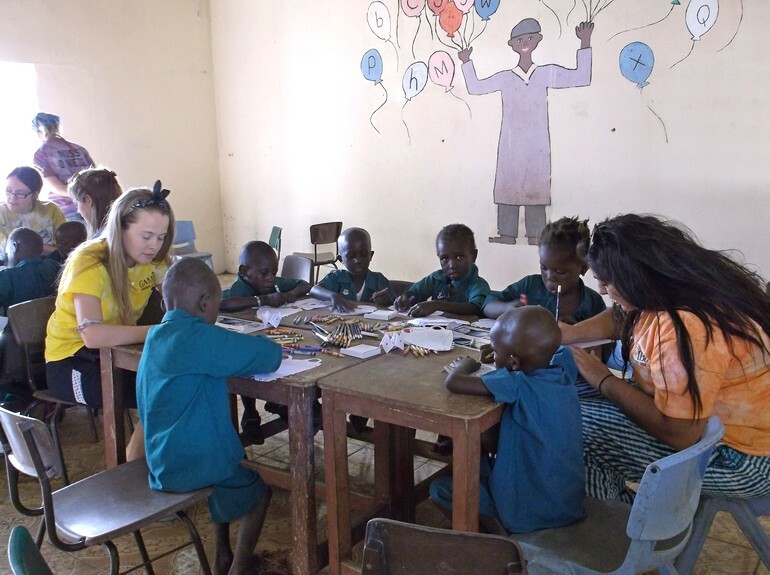 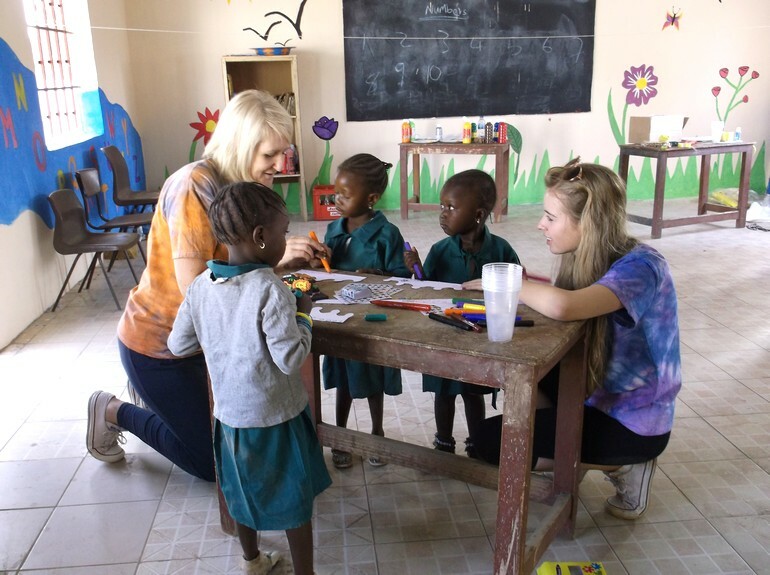 The next day we conducted art and craft lessons for the children, who were aged between three and six. 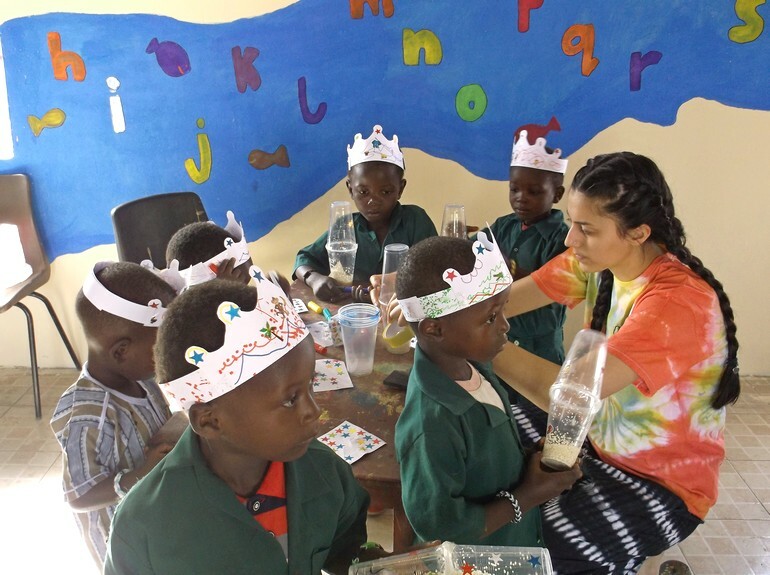 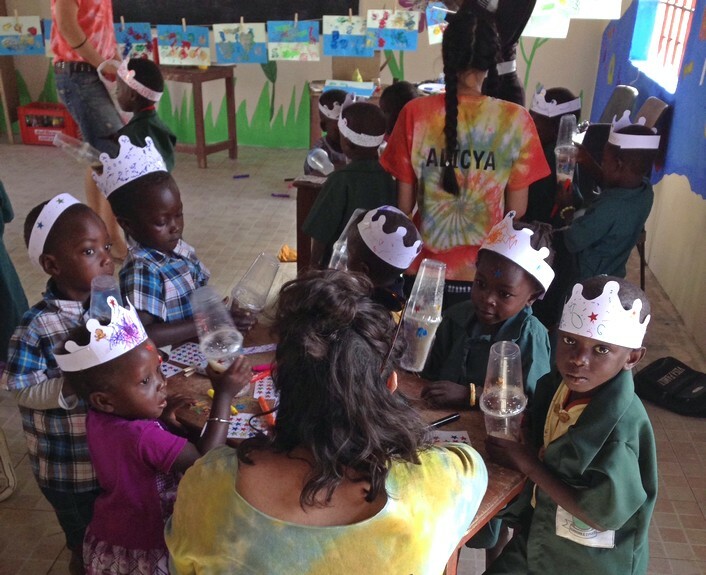 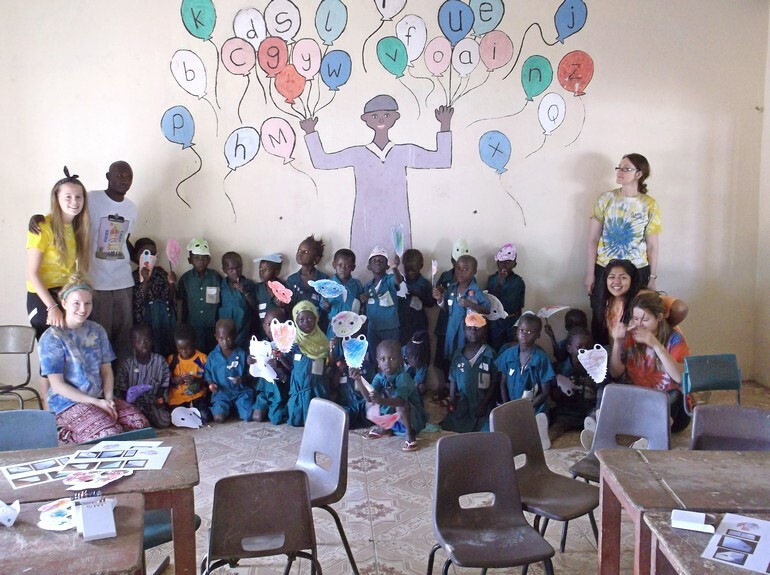 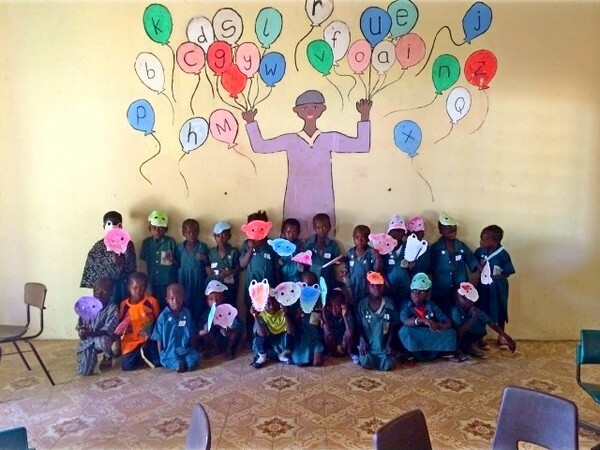 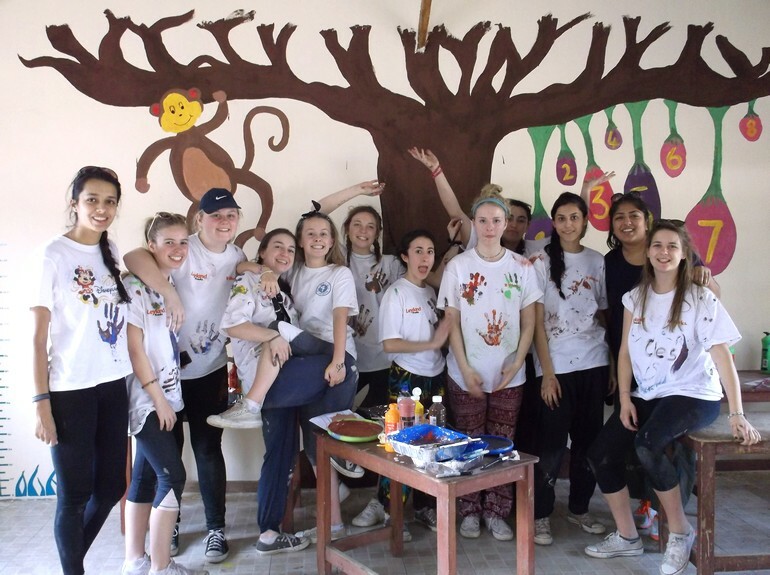 The preparation which had gone into our lessons was all worth it when we saw the smiles on the children’s faces as they created their objects including masks, maracas and t-shirts. 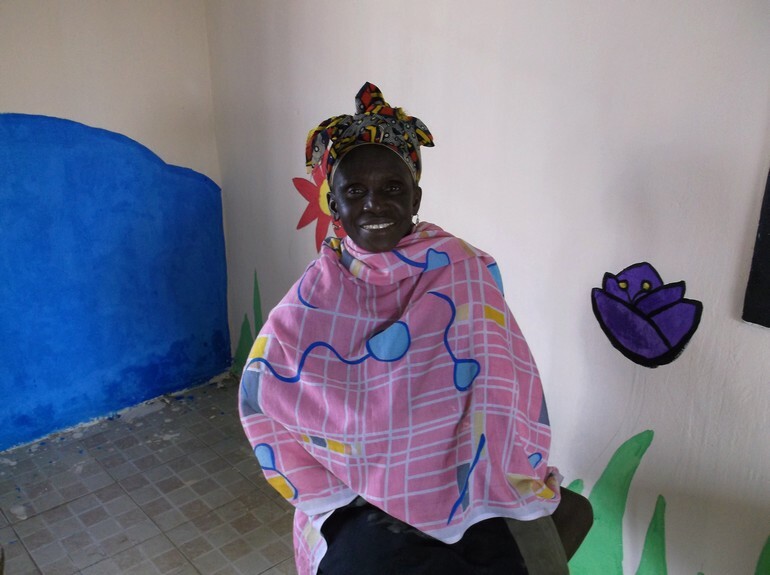 Tamba kindly invited us to the naming ceremony of his newly born son and we joined the local people in a celebration of the child’s birth. 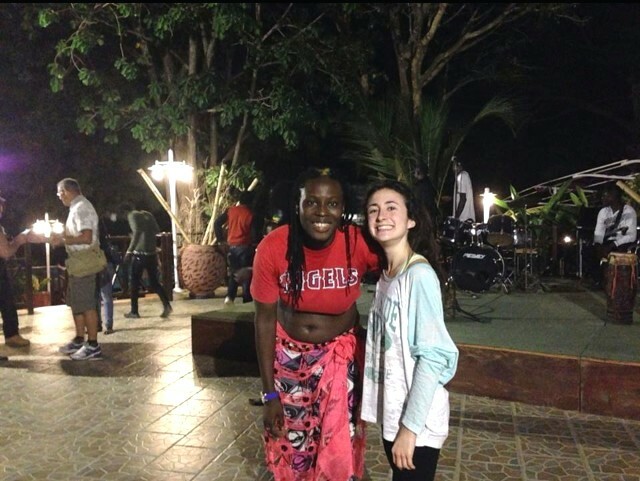 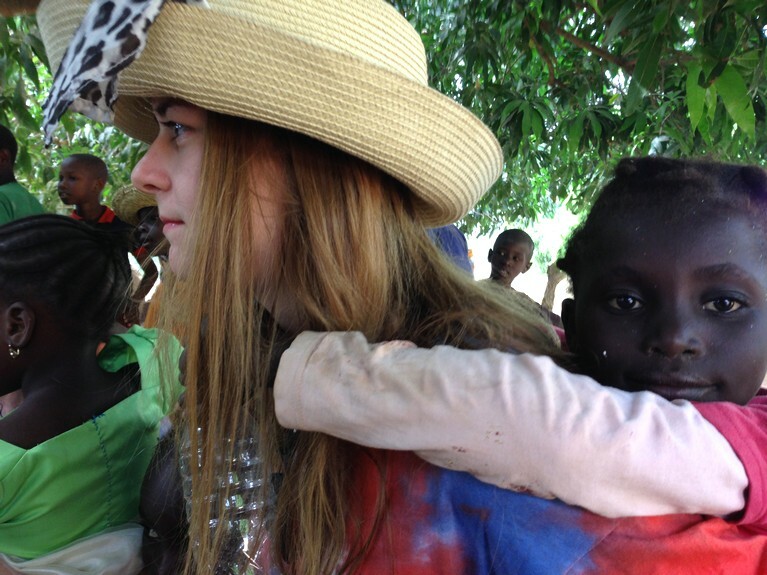 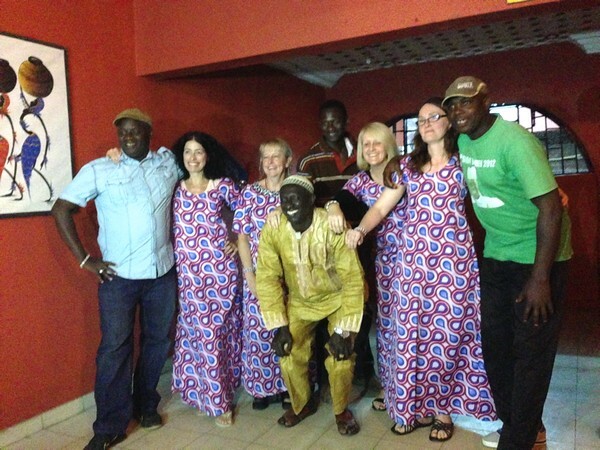 It was very interesting to get involved in the culture of the Gambian people. 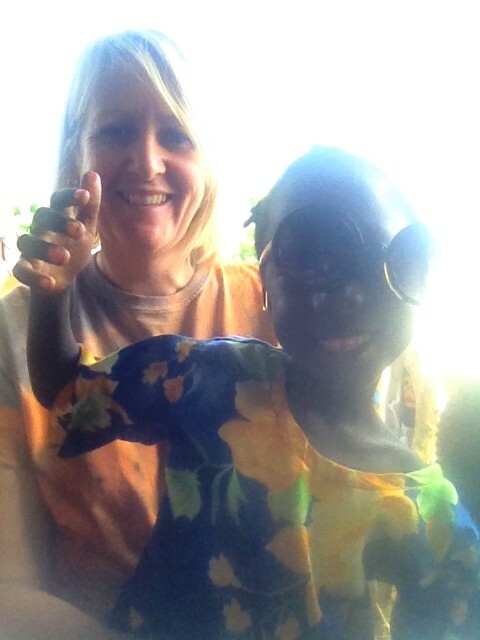 We then joined the women of the village dancing in the street; everyone got involved and we were delighted with the bracelets kindly given to us by them. 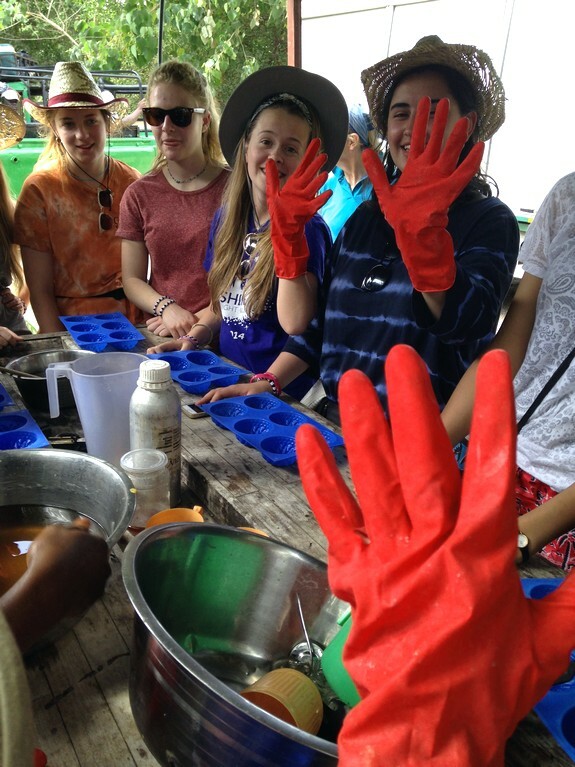 We visited ‘MyFarm’, a farm dedicated to teaching sustainable farming to local people. 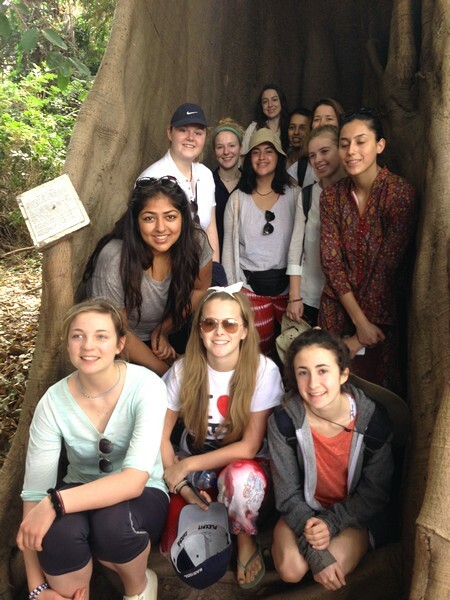 We were all very impressed by the way the climate and surroundings were utilised to create organic food and products with minimal waste. 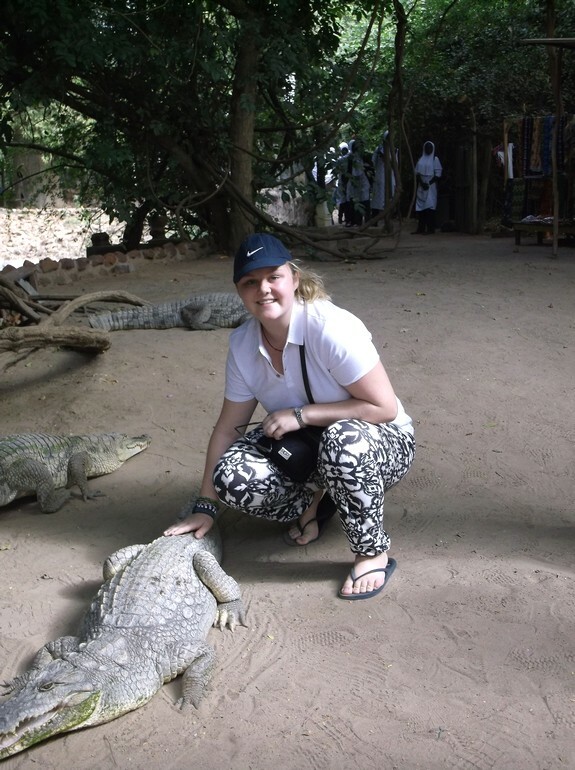 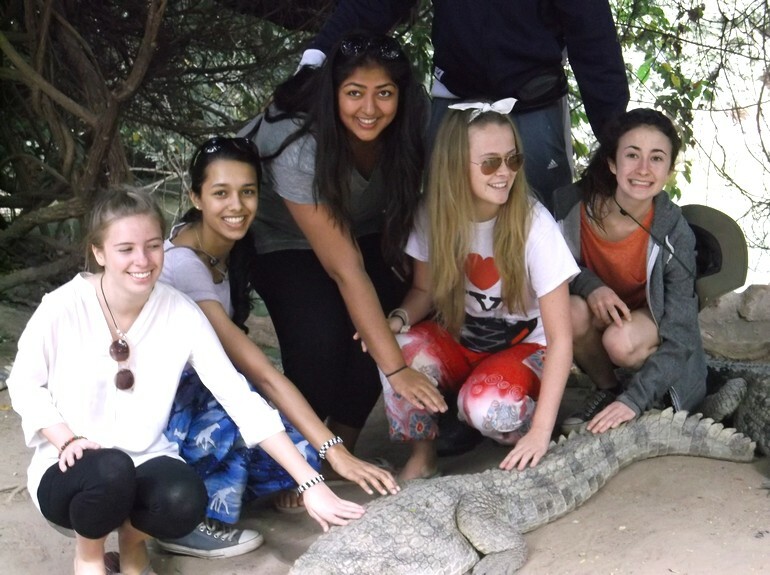 The next day, Smiler, Lamin’s other brother, kindly took us to a crocodile sanctuary where we marvelled at the crocodiles and each posed for a picture with them. 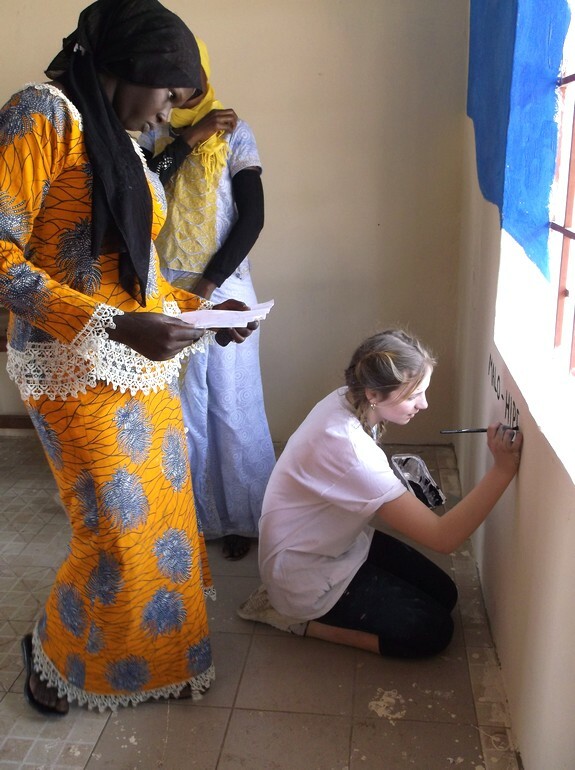 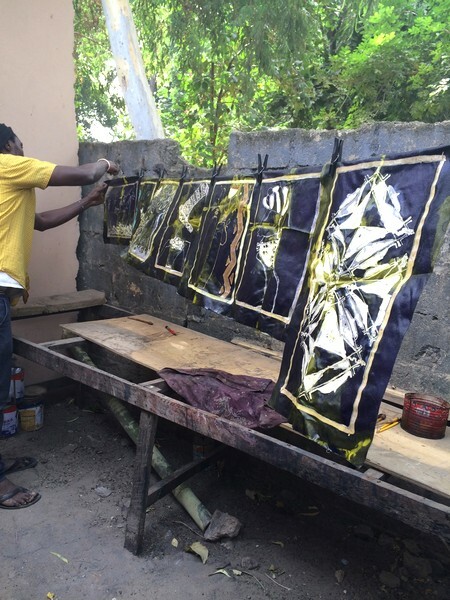 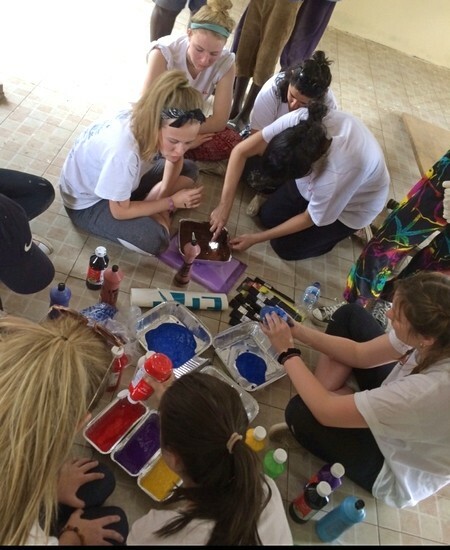 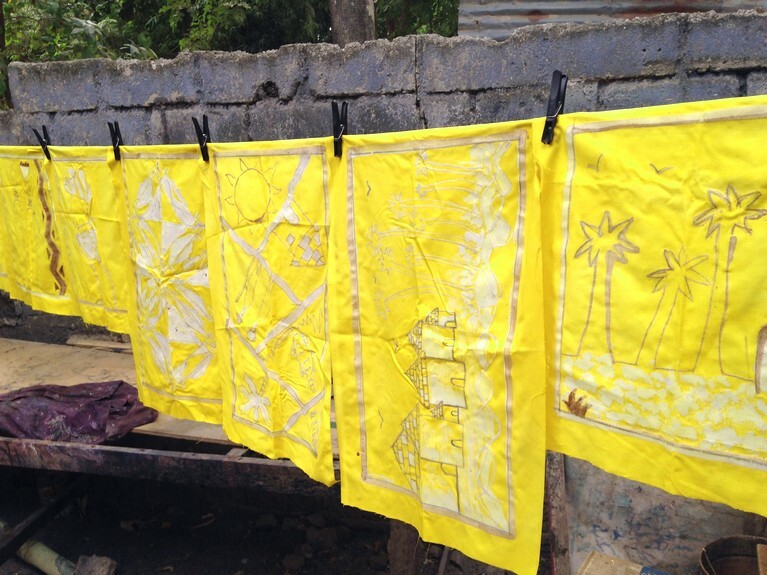 We then were lucky enough to take part in a batik course where we made canvases with our own designs on them. 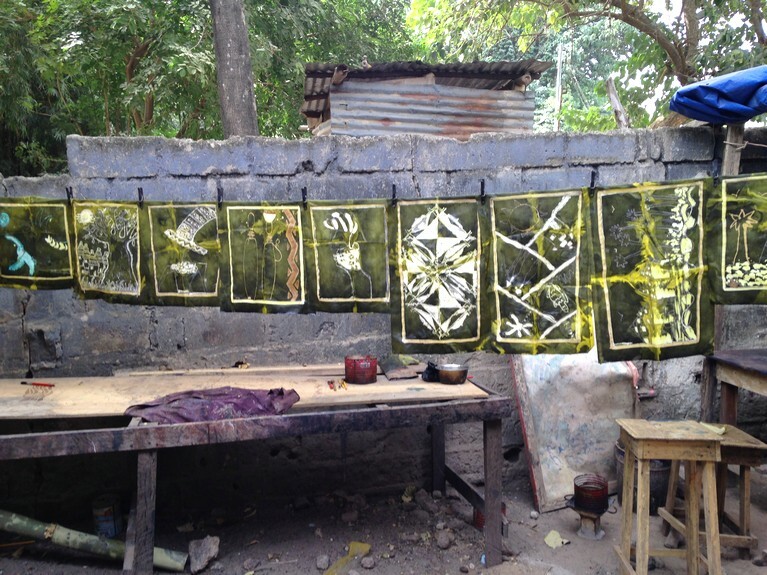 Batik is a technique of wax-resist dyeing applied to whole cloth which is very popular in The Gambia. 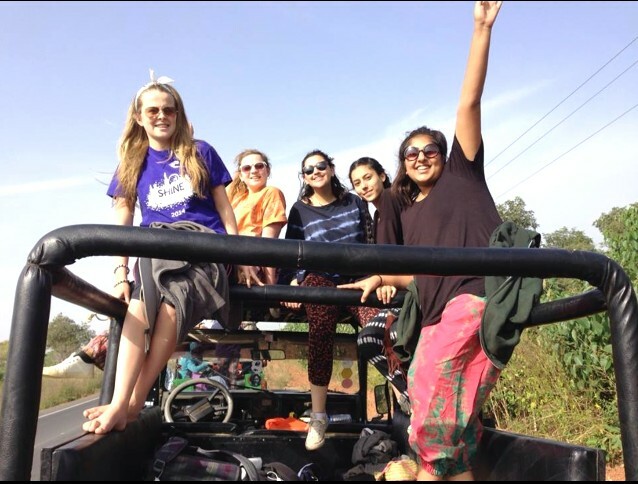 The trip offered each of us an amazing and unforgettable experience. 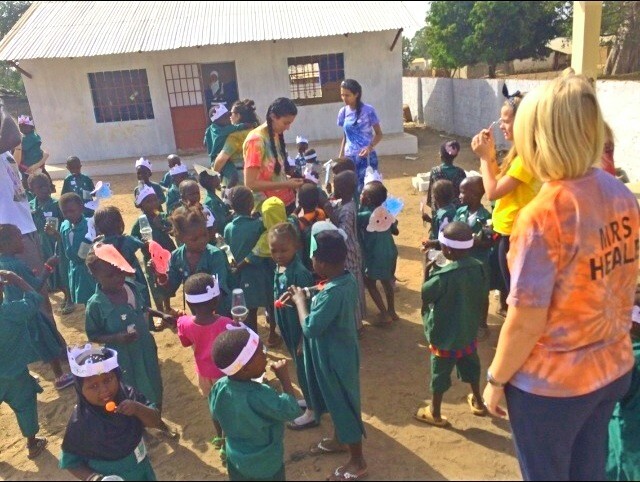 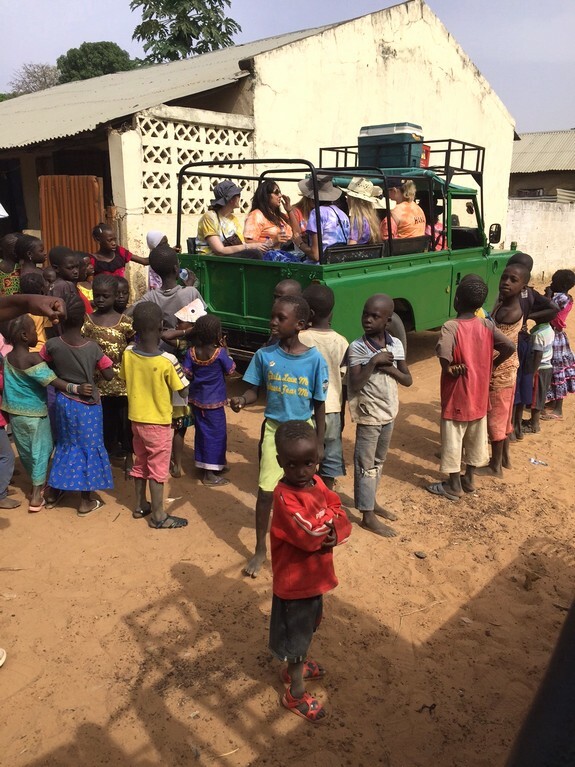 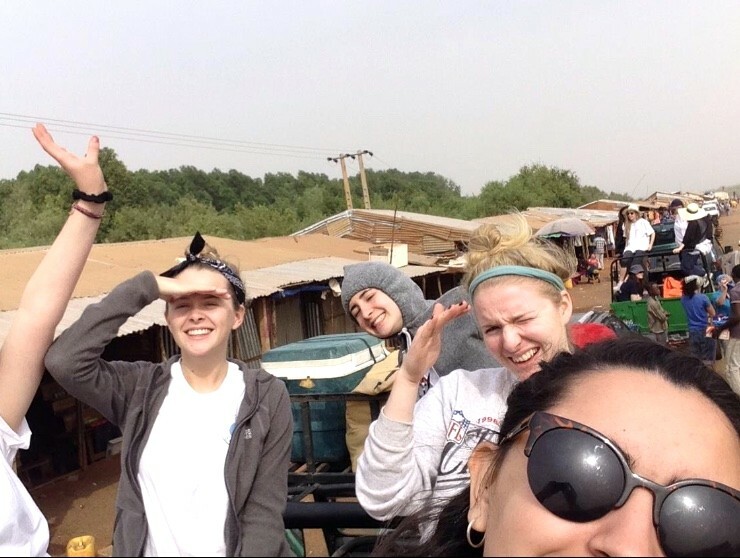 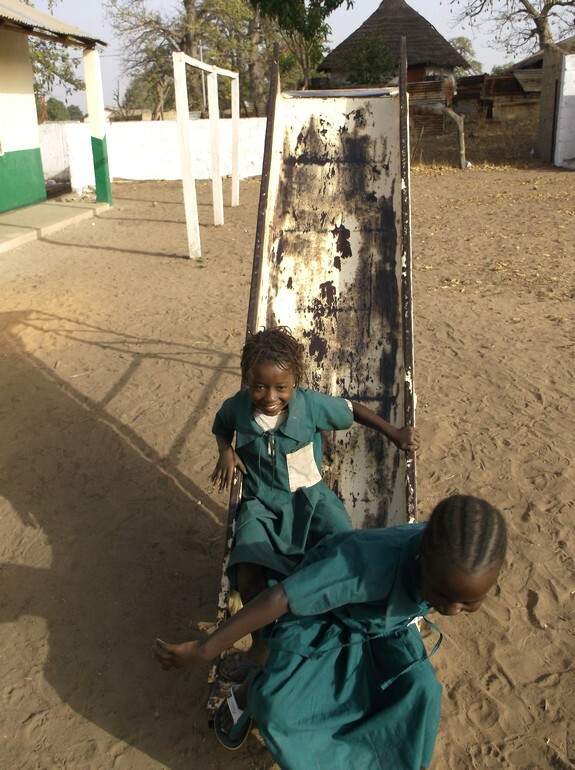 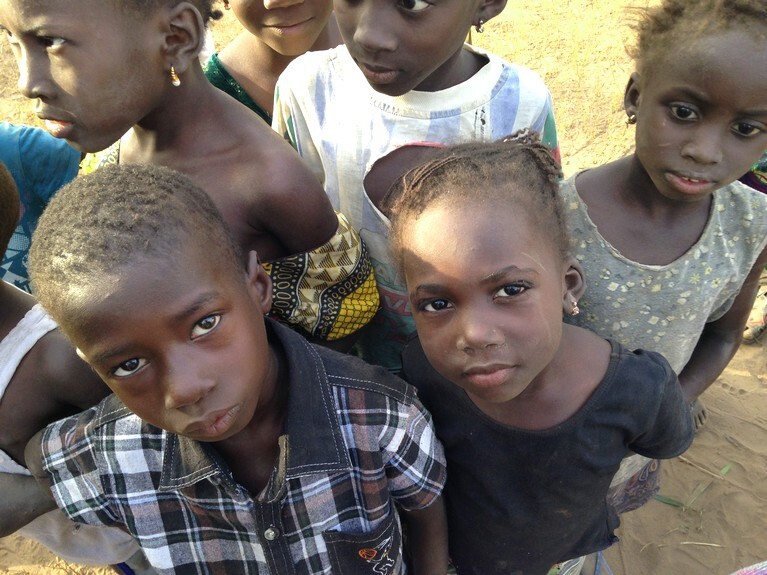 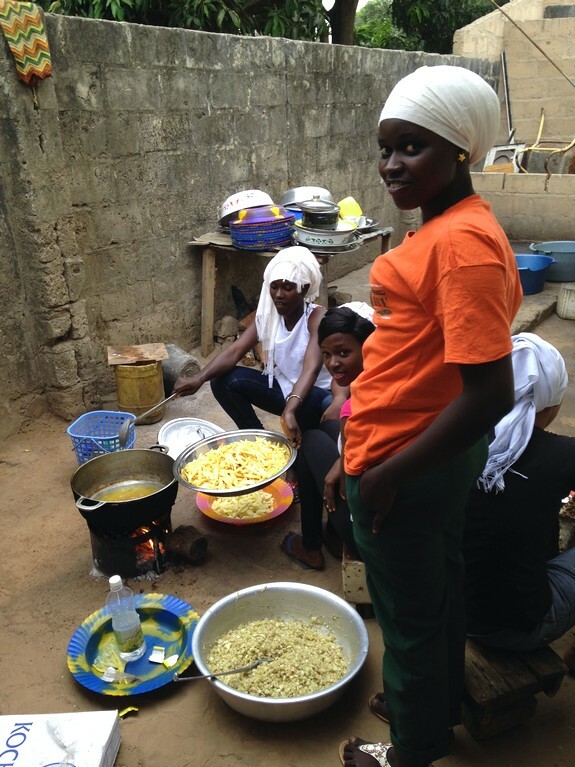 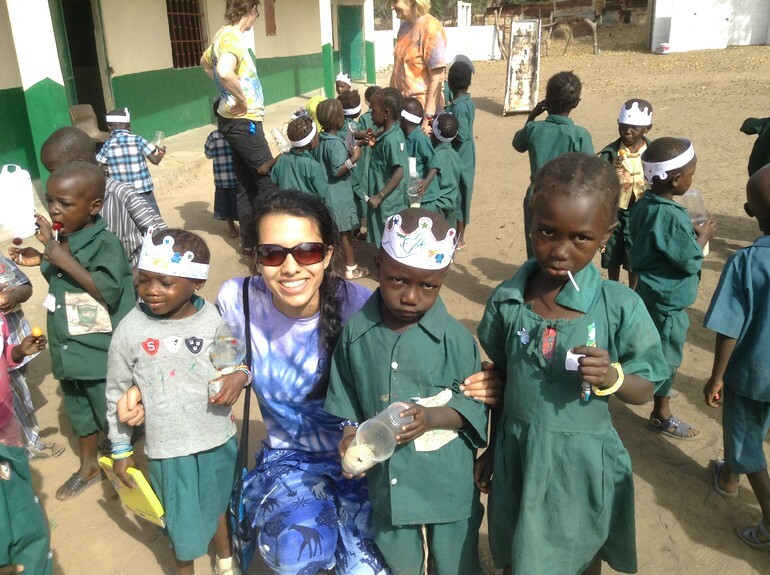 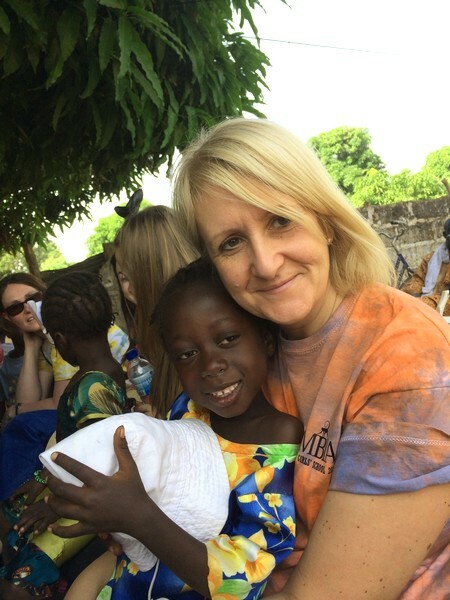 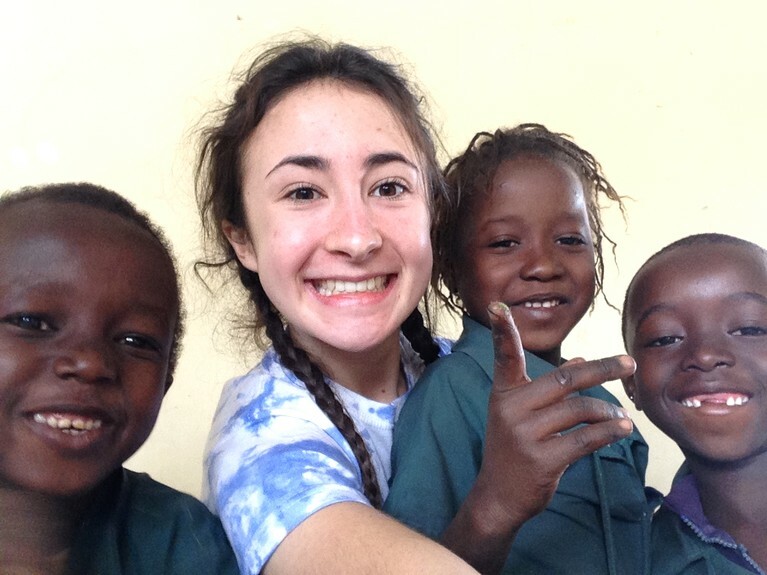 We all loved every minute and were extremely gratified to see for ourselves the difference our fundraising had made to health, education and everyday lives in Illiasa.